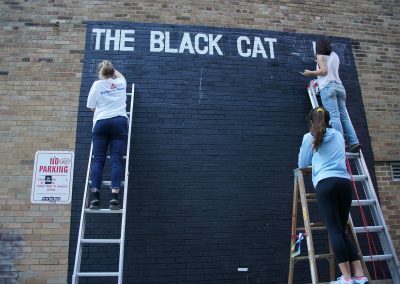 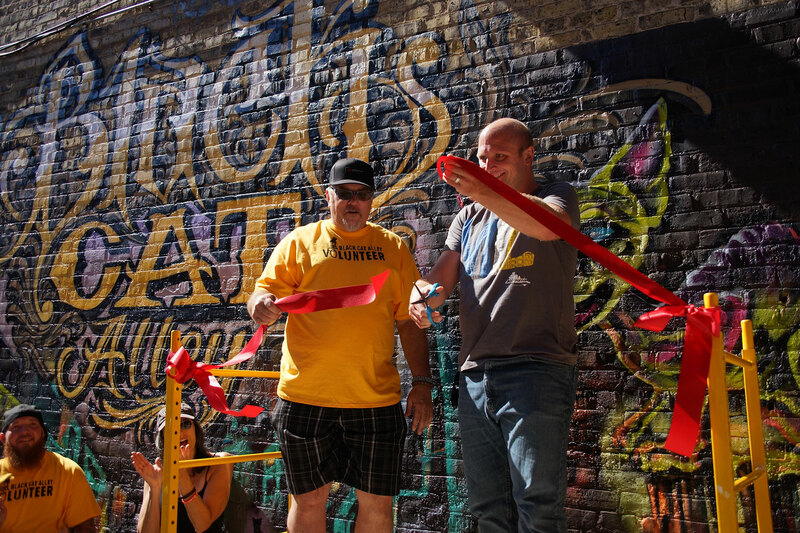 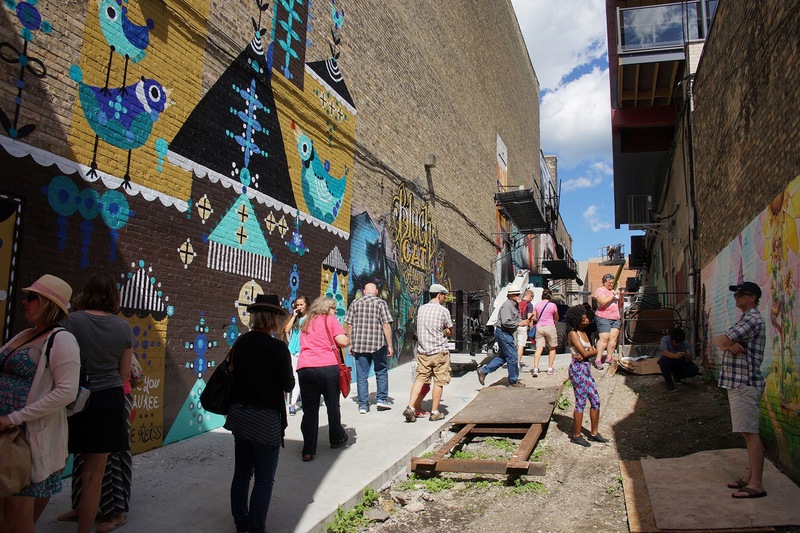 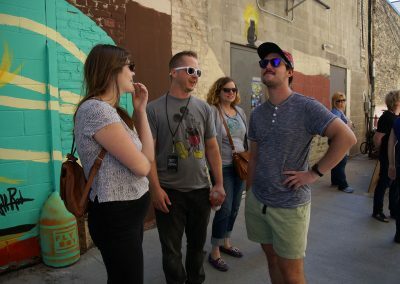 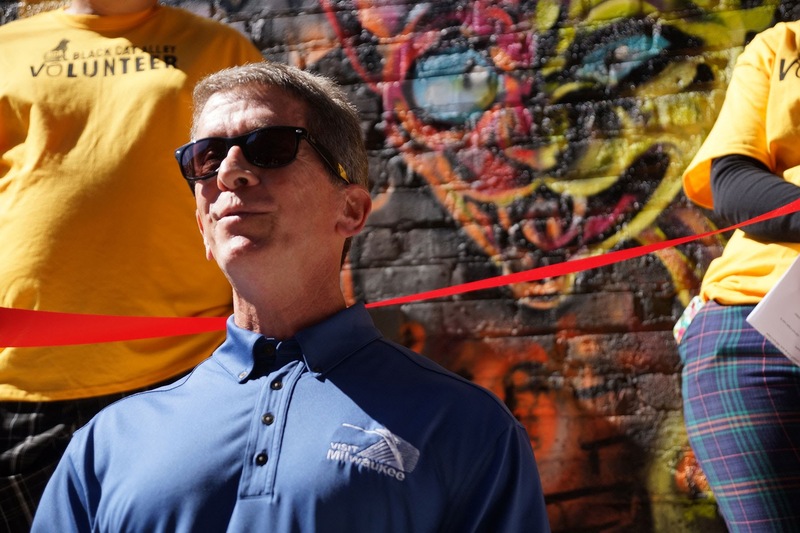 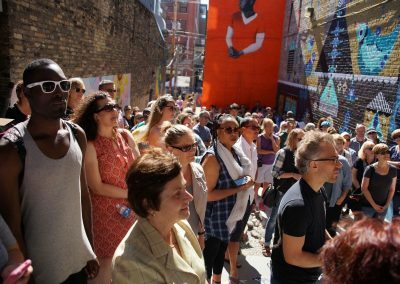 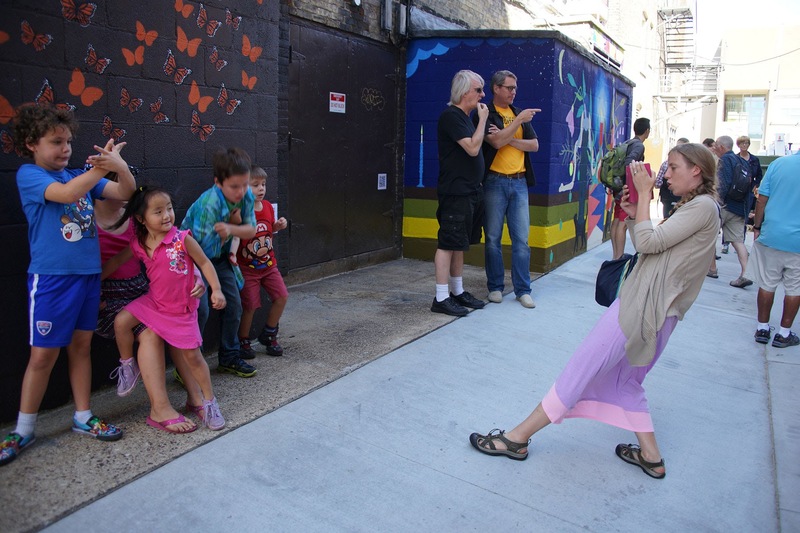 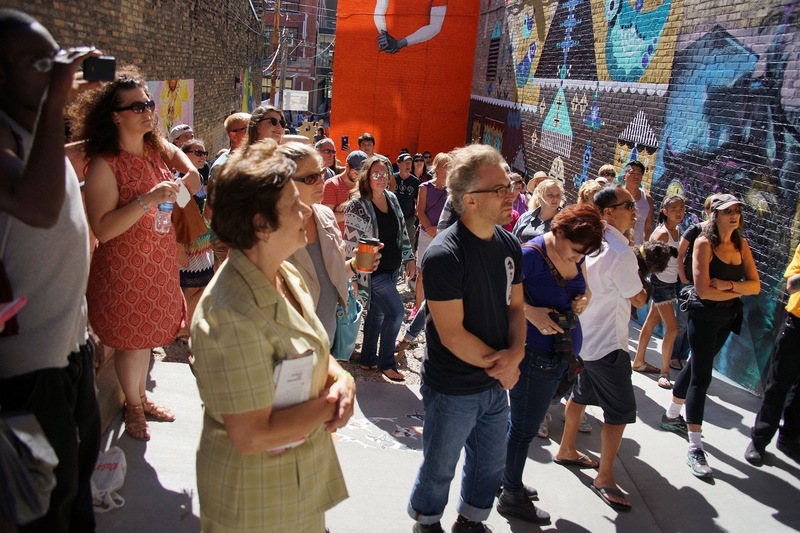 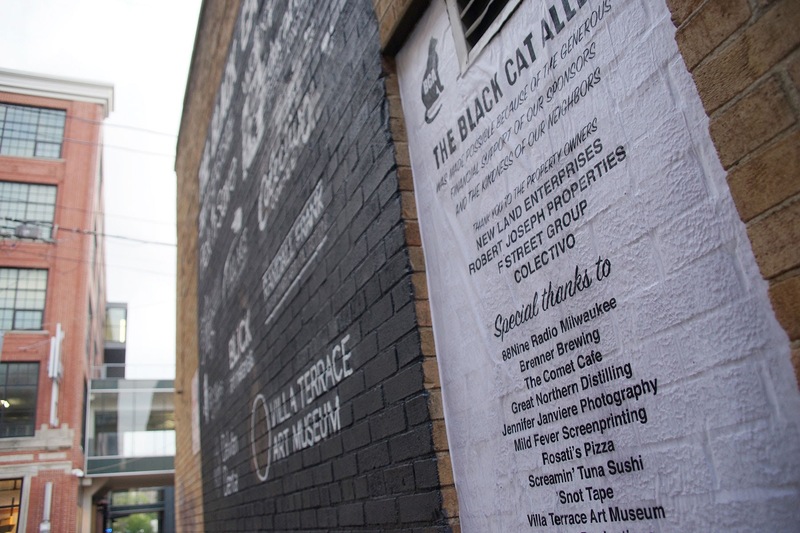 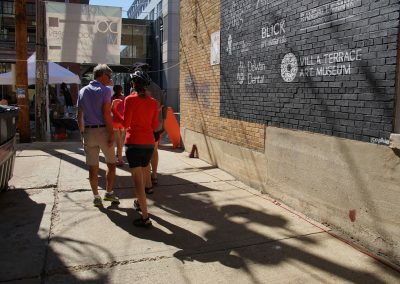 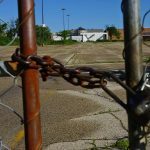 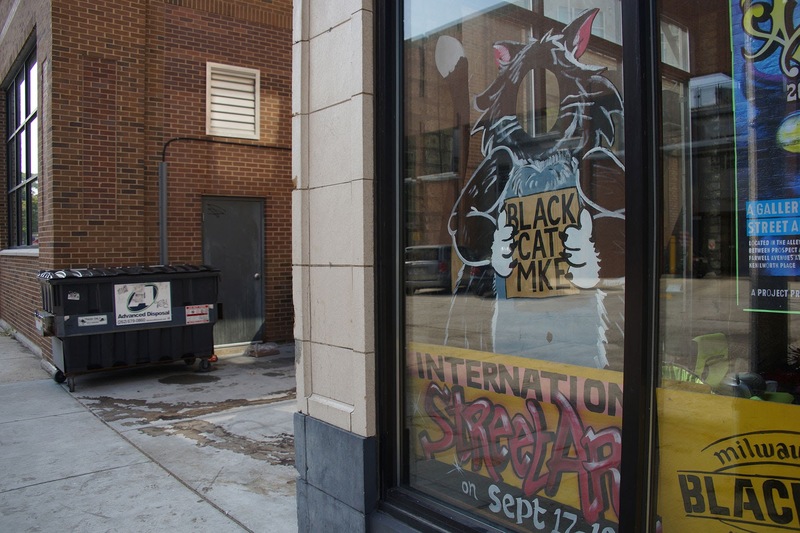 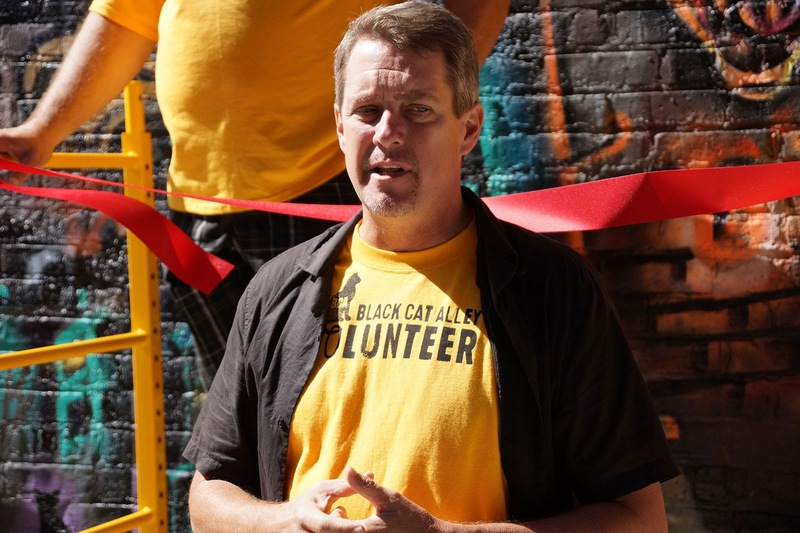 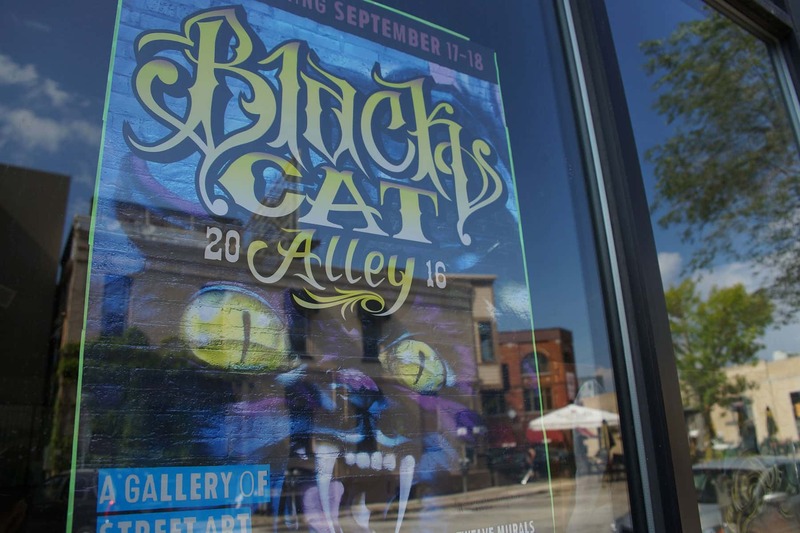 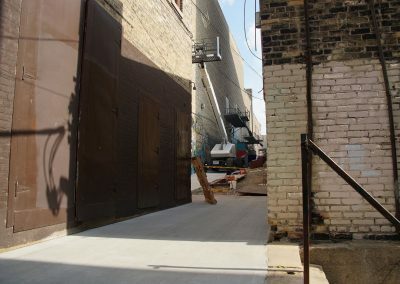 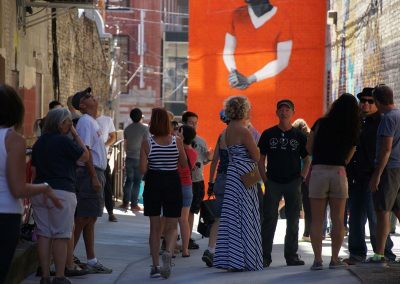 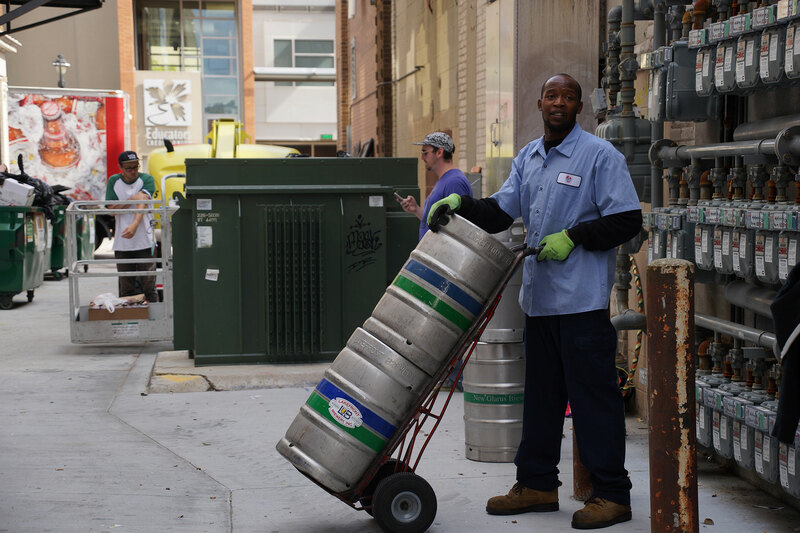 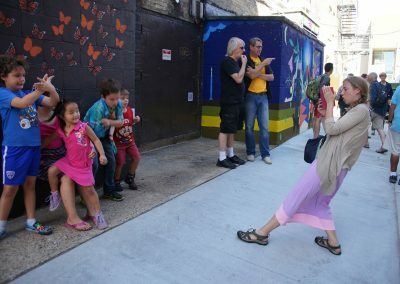 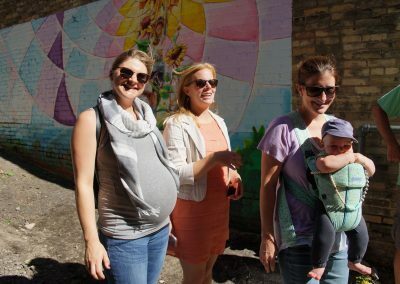 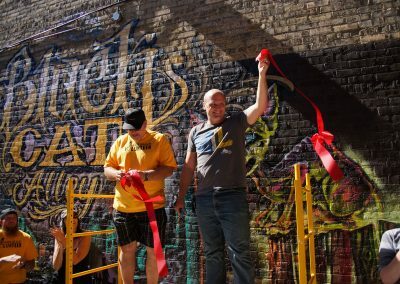 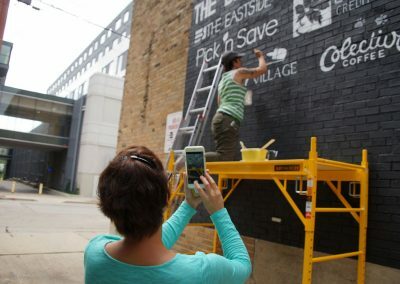 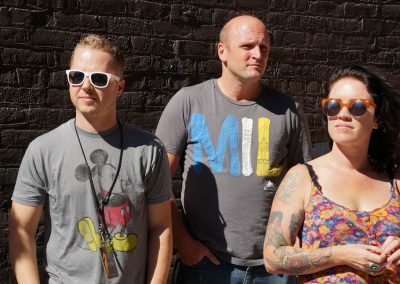 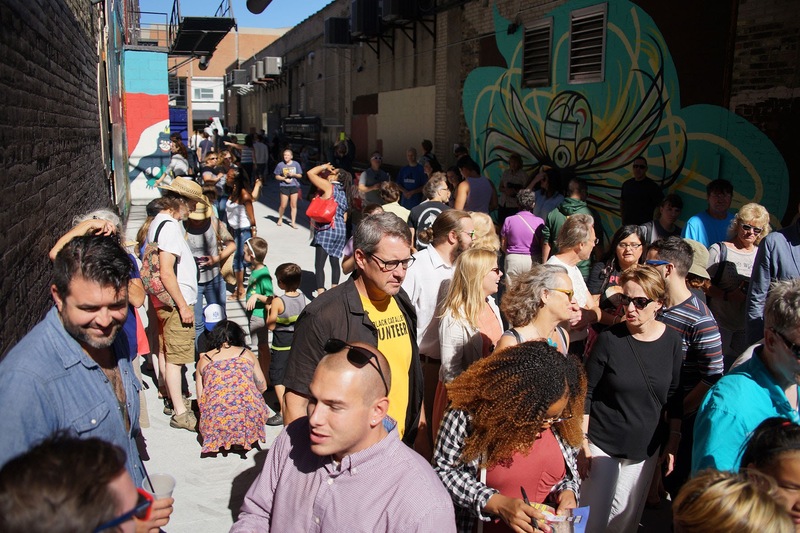 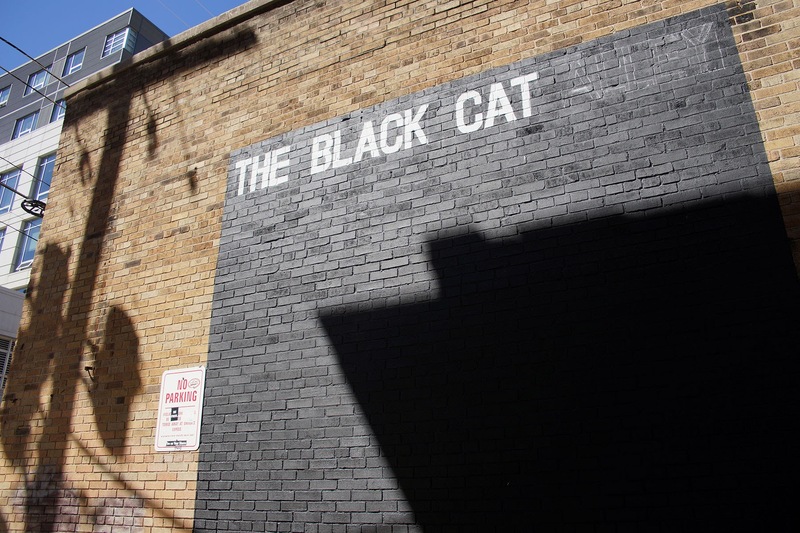 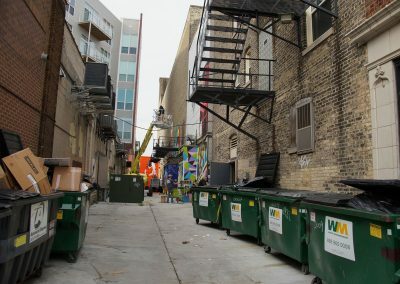 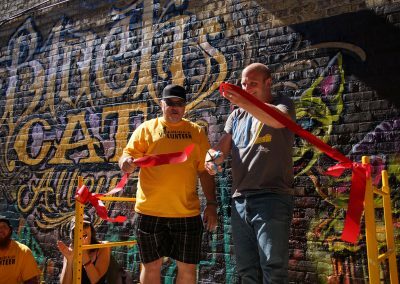 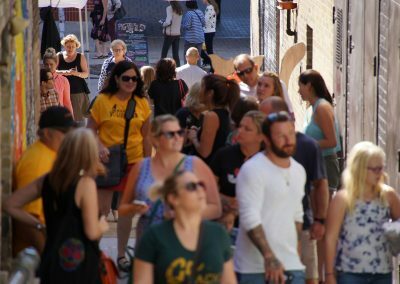 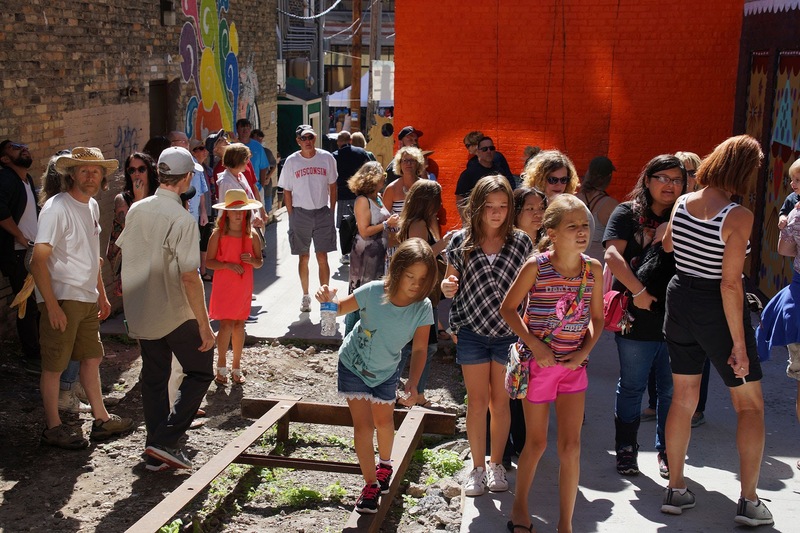 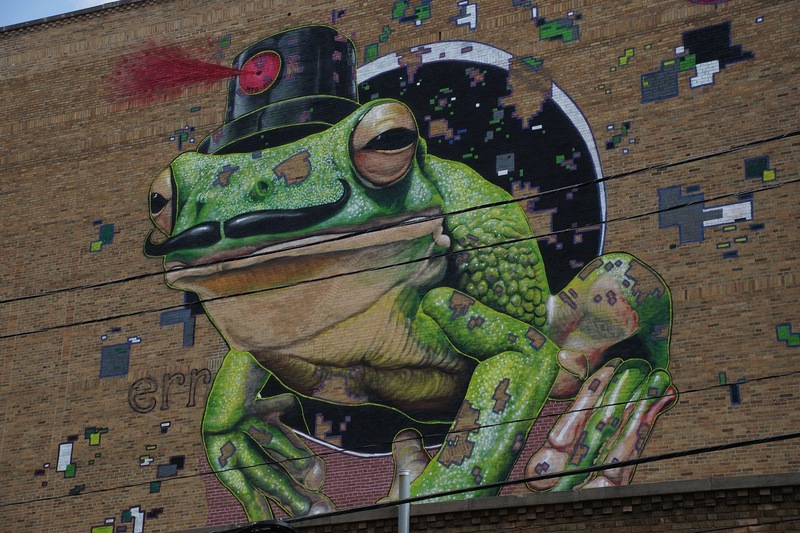 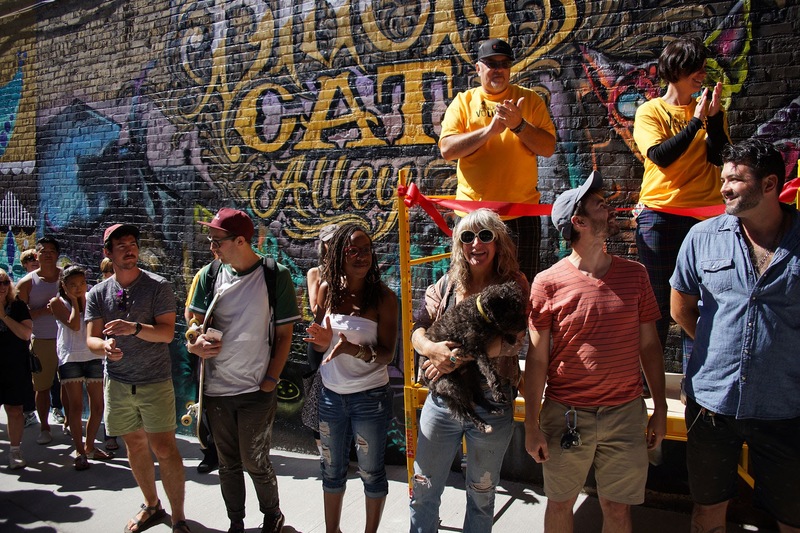 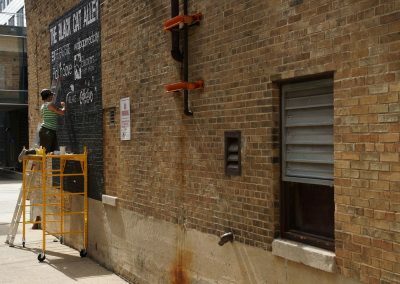 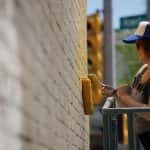 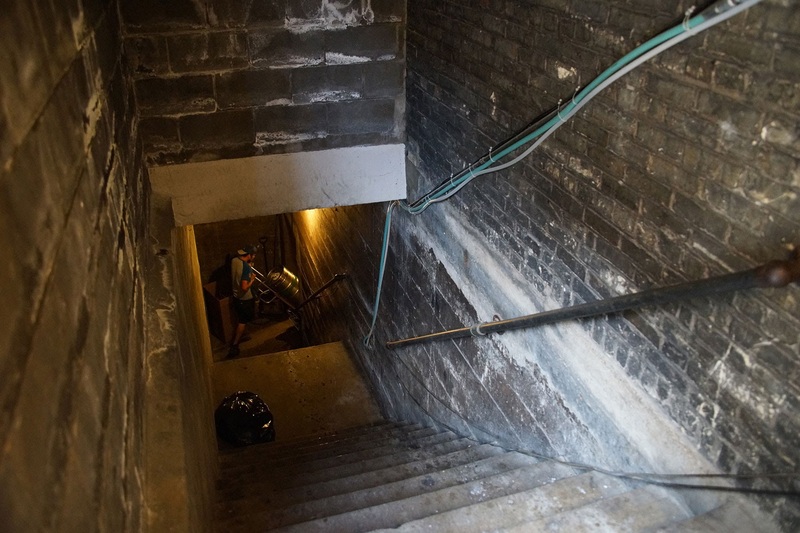 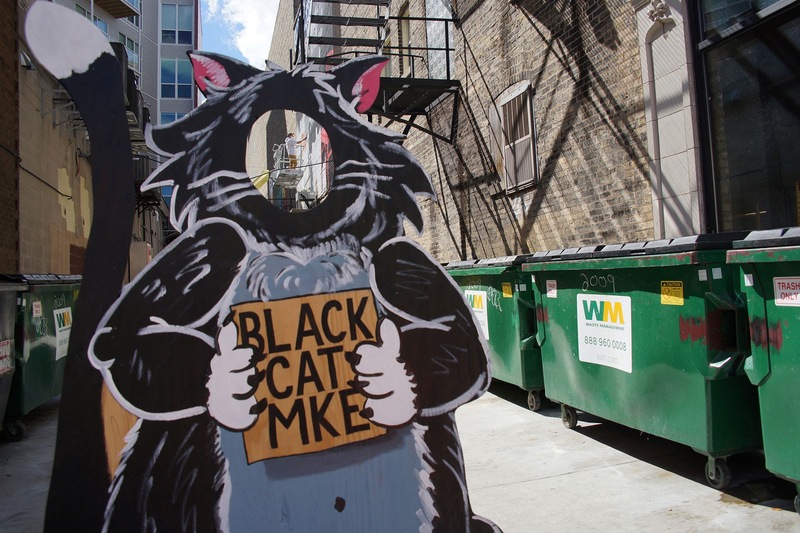 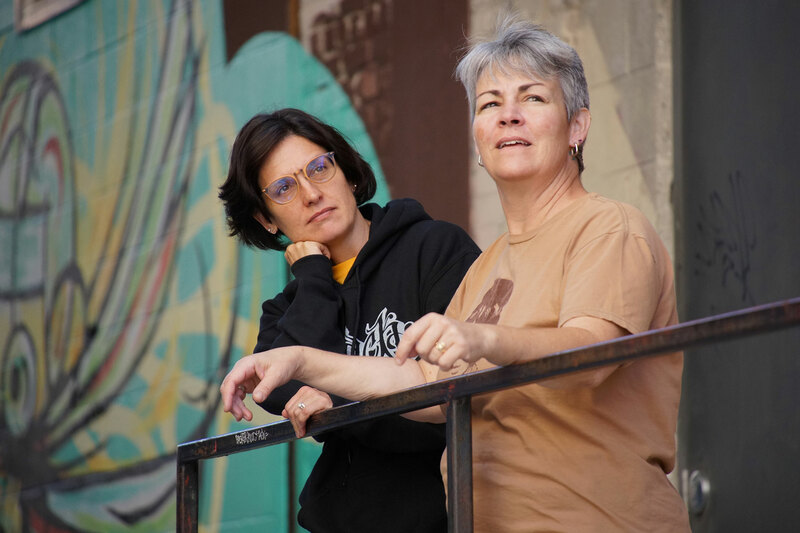 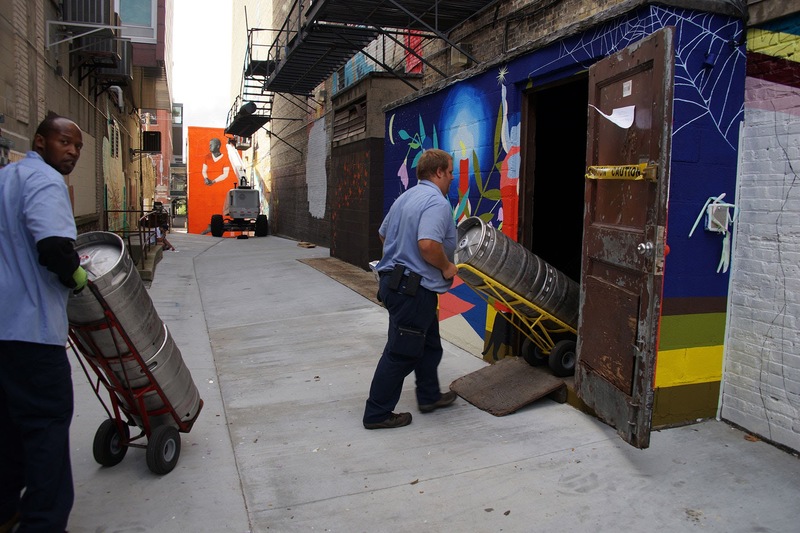 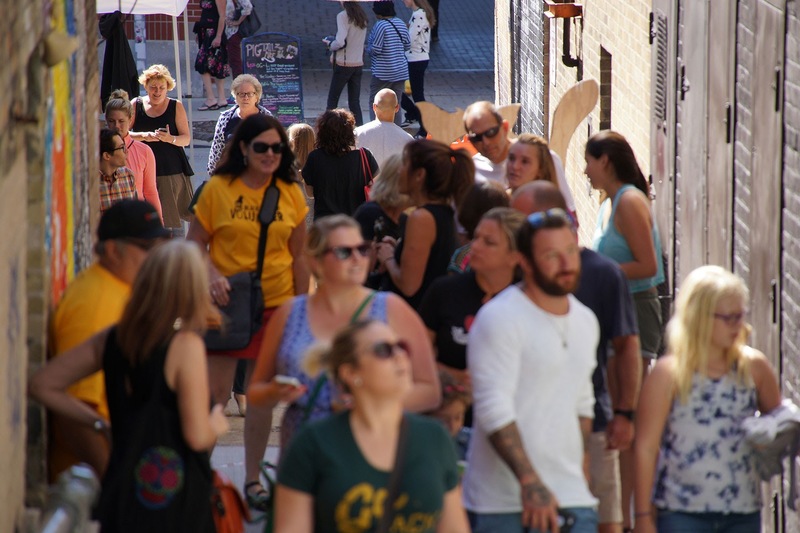 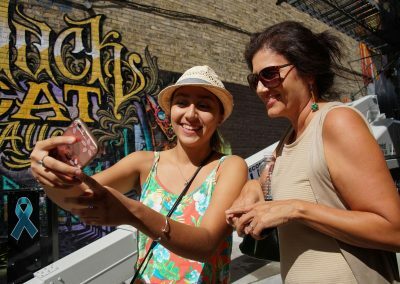 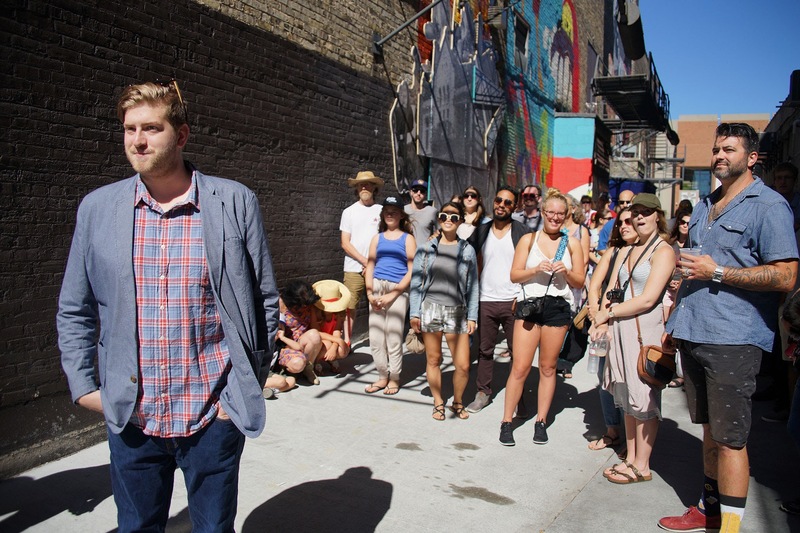 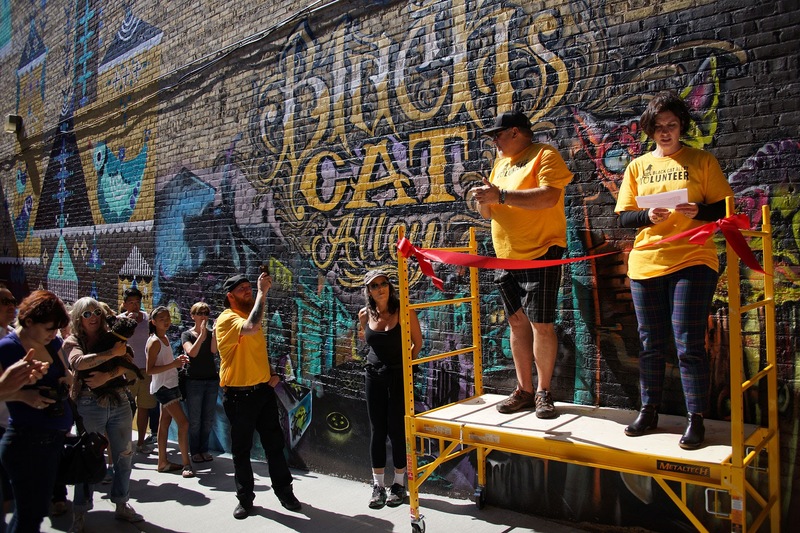 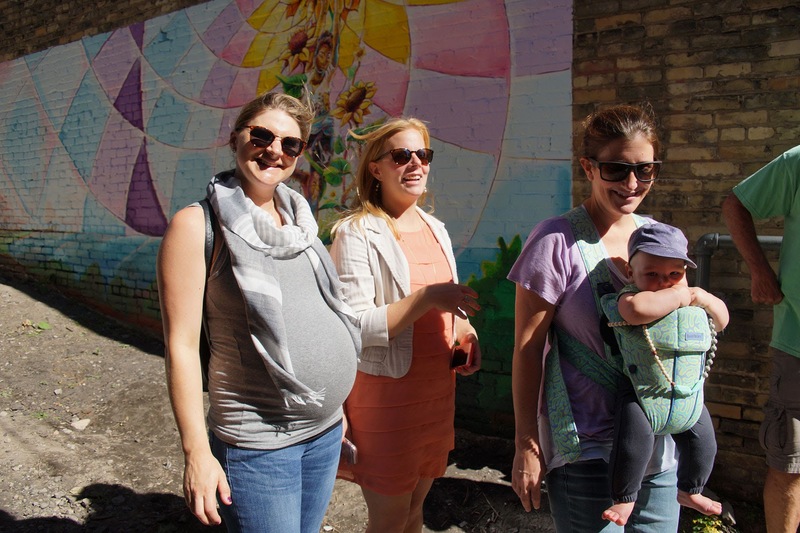 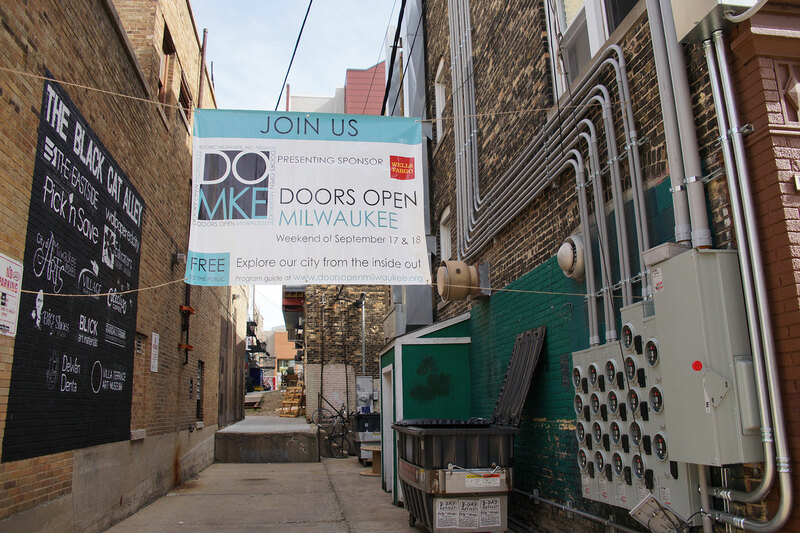 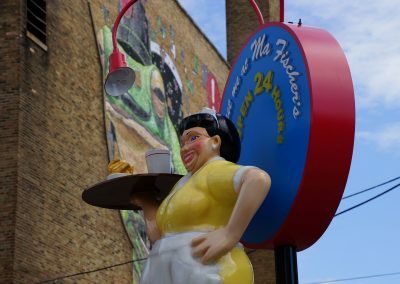 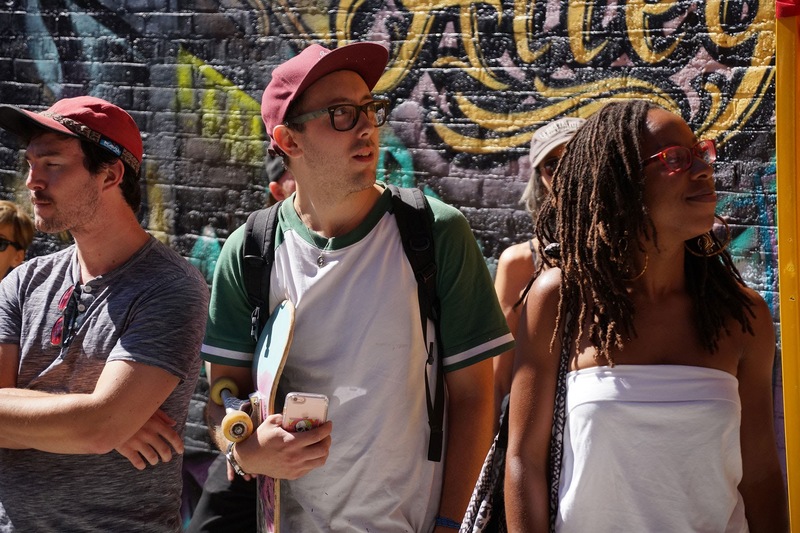 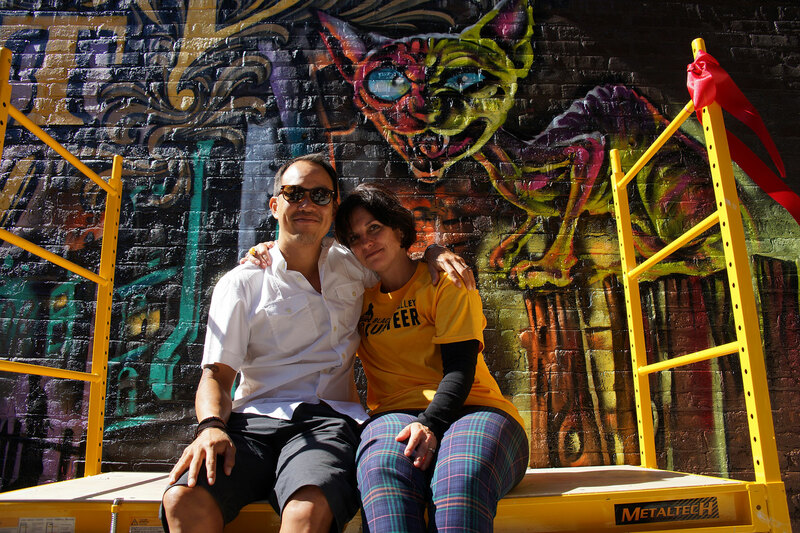 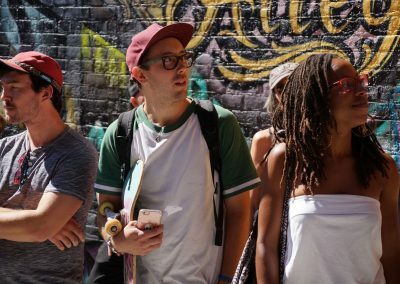 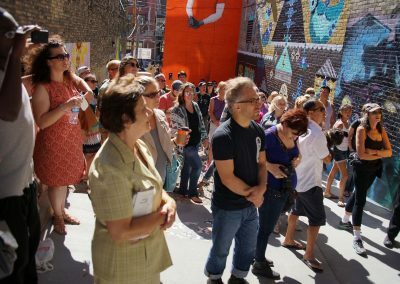 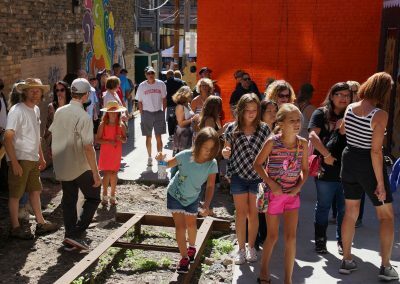 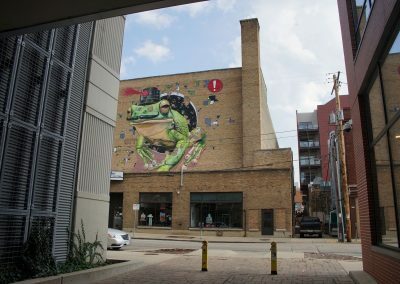 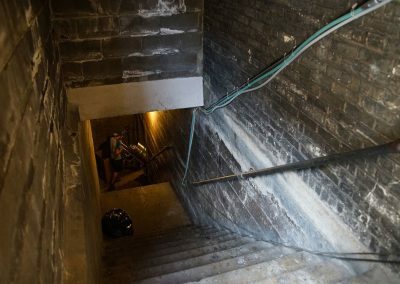 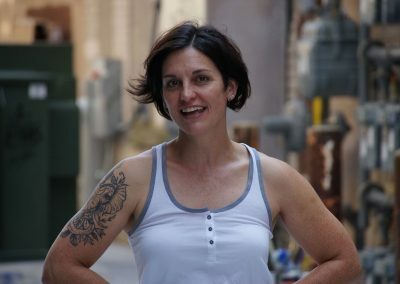 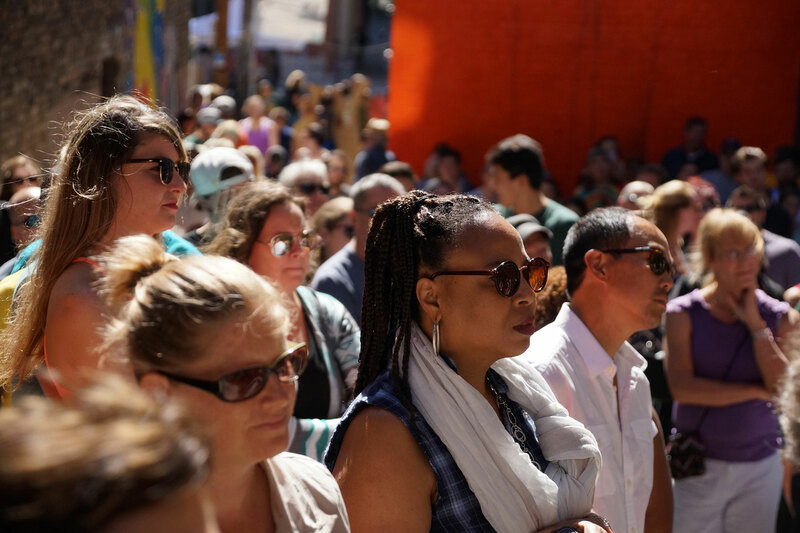 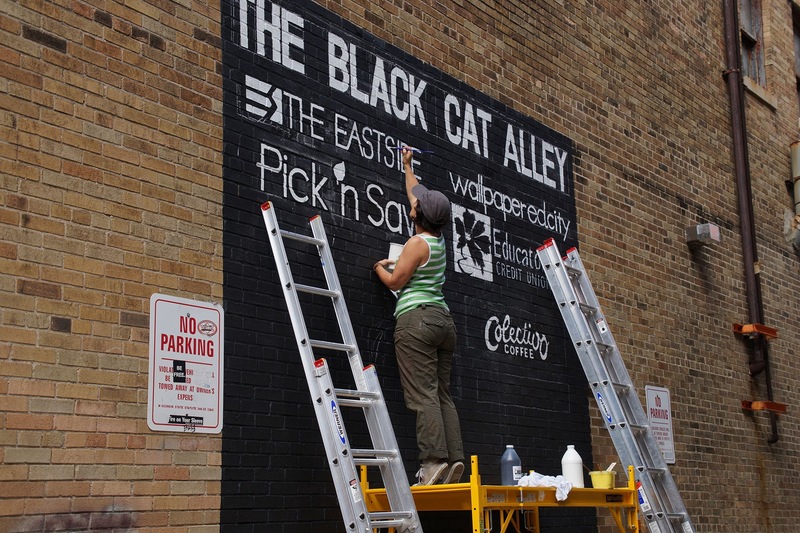 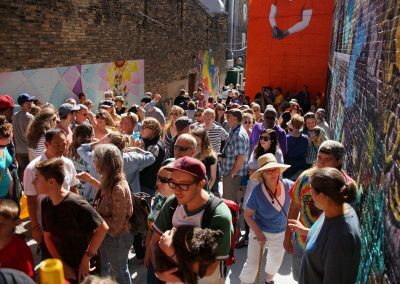 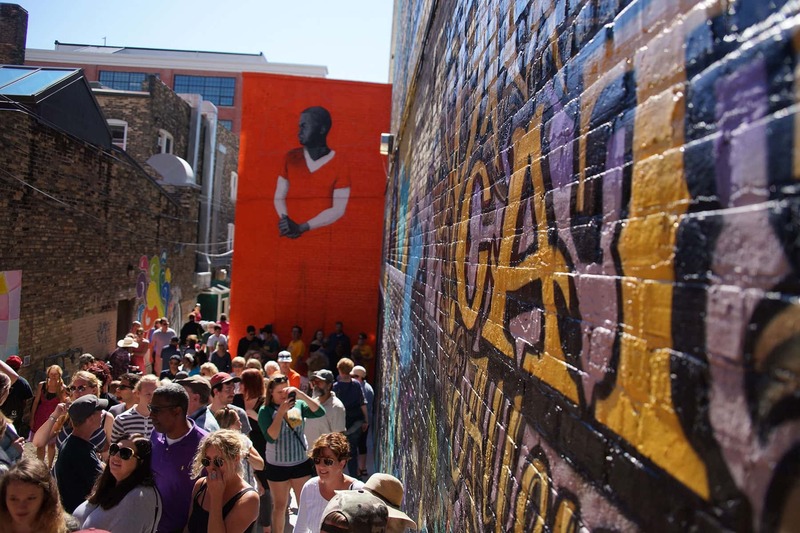 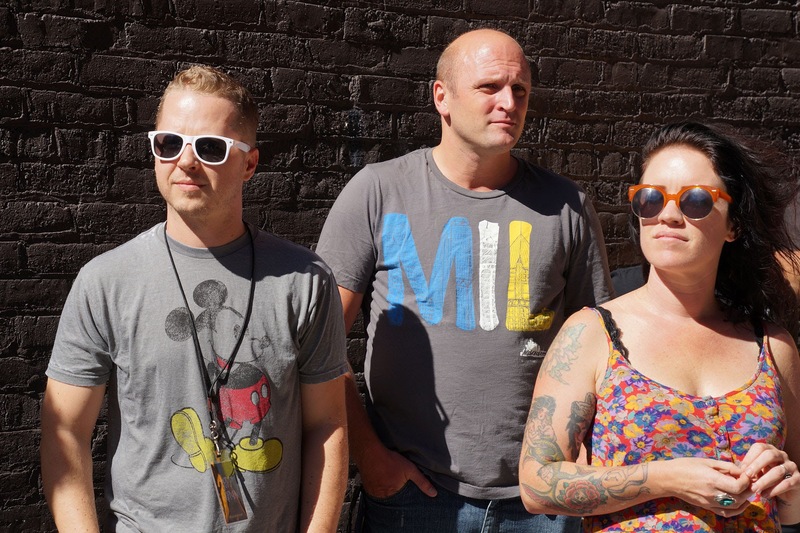 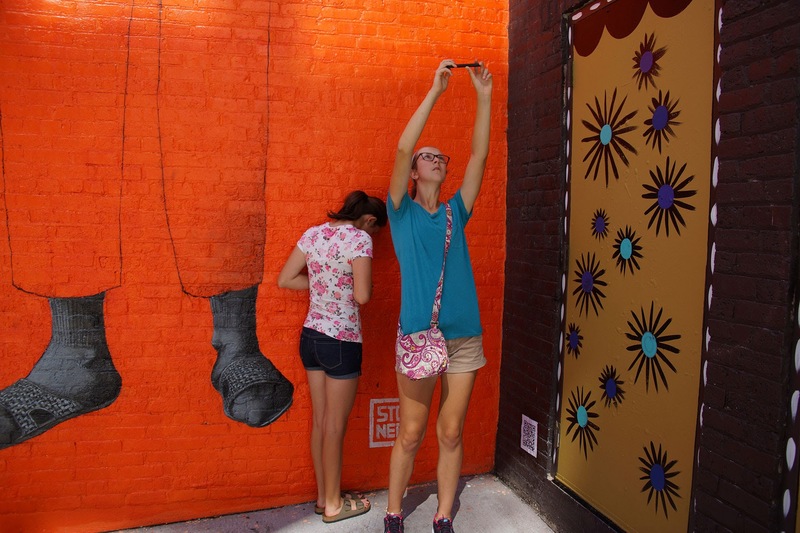 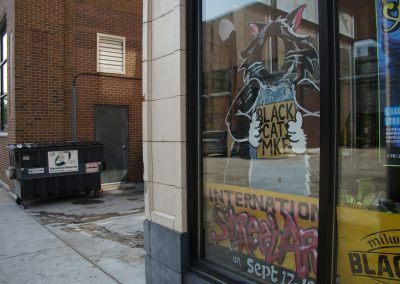 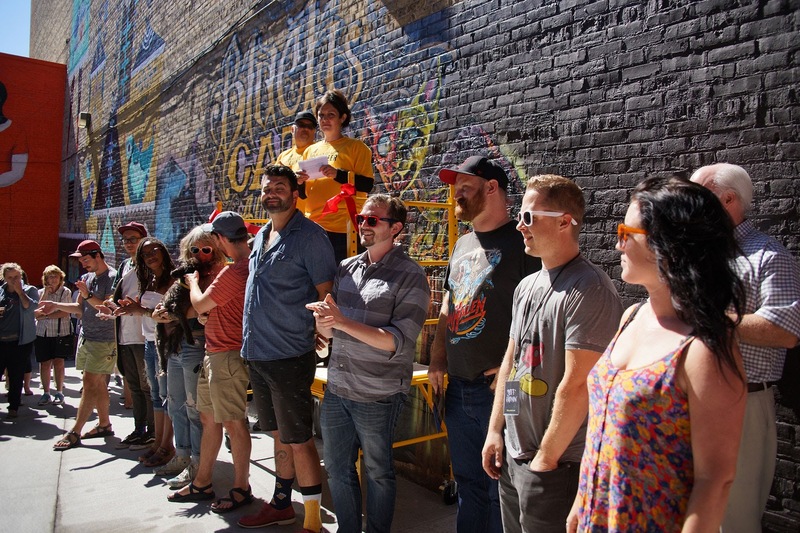 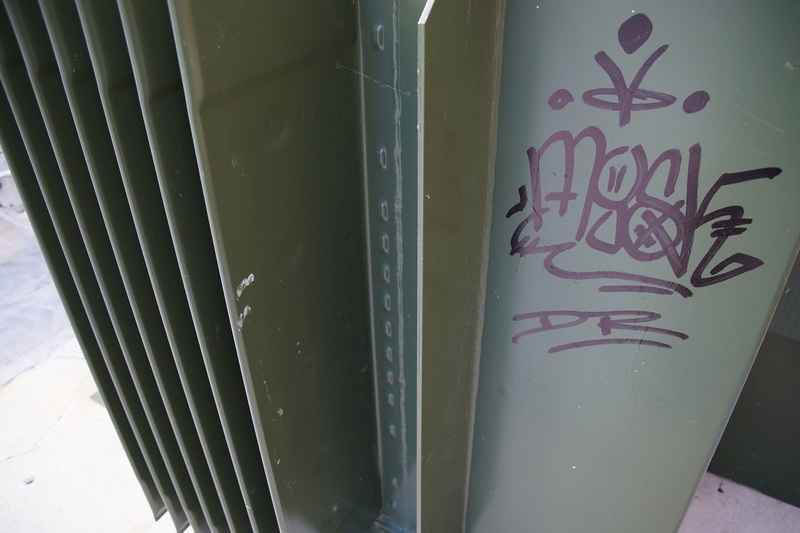 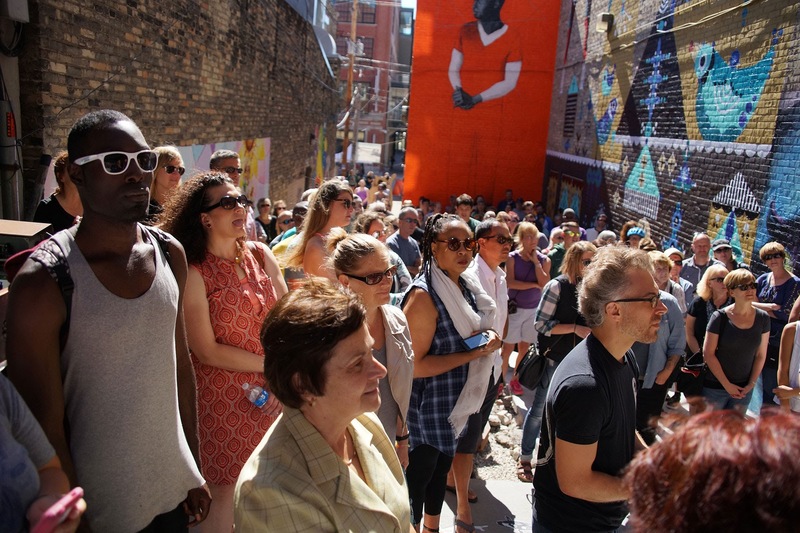 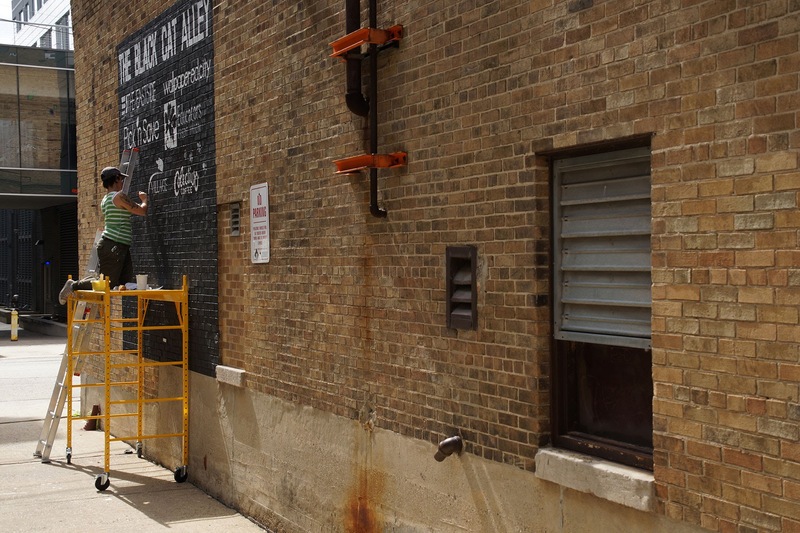 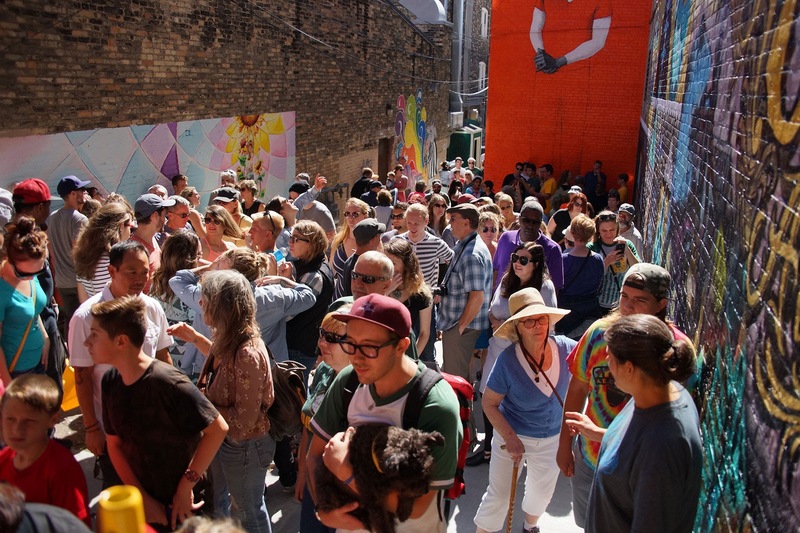 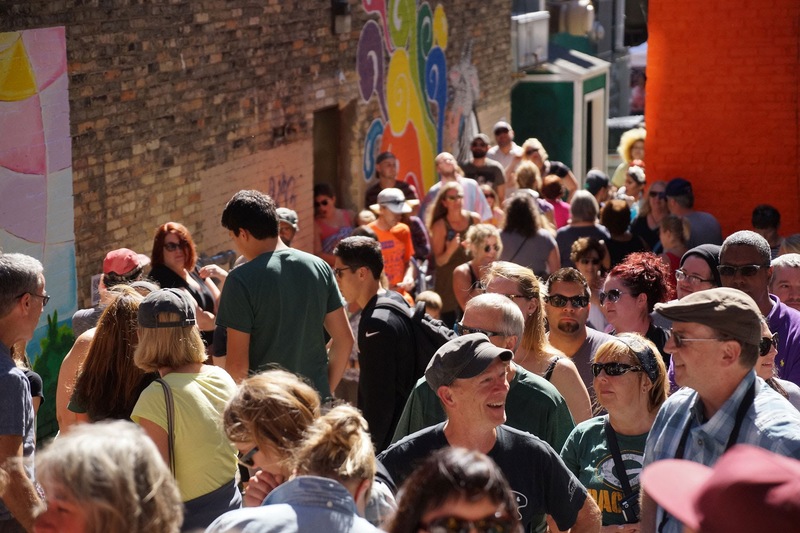 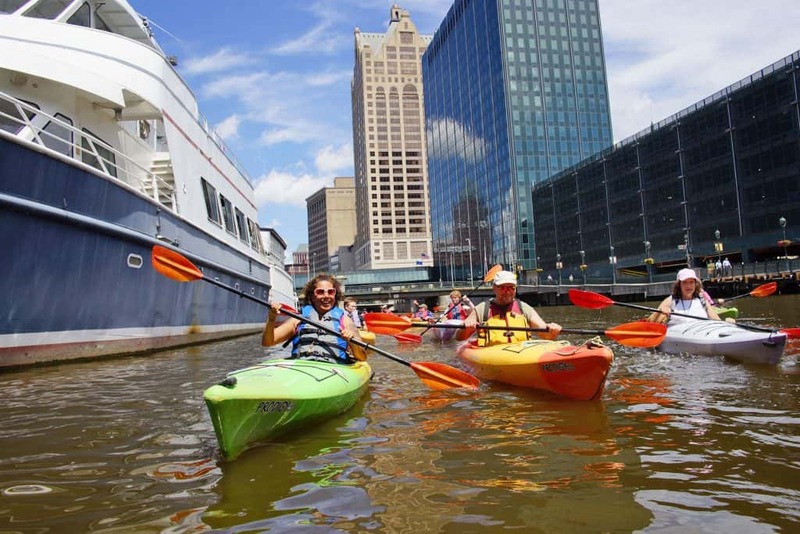 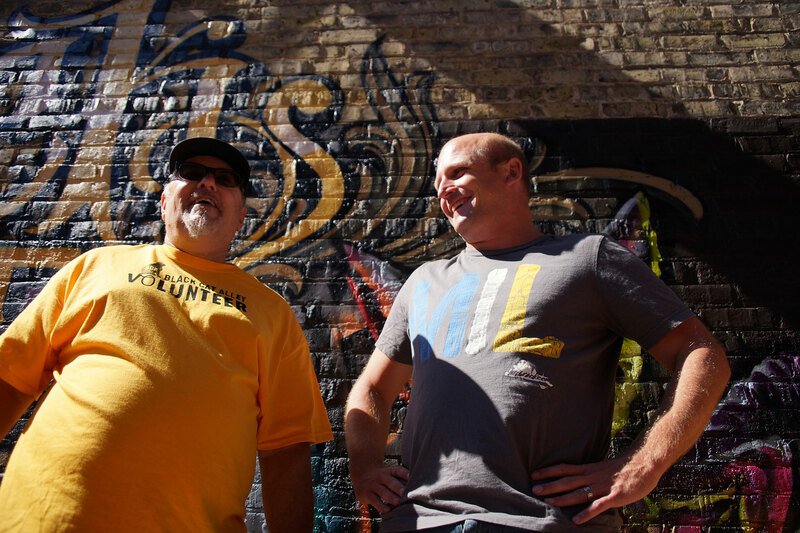 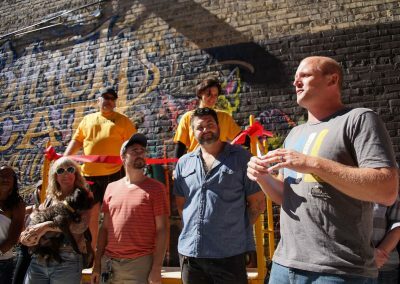 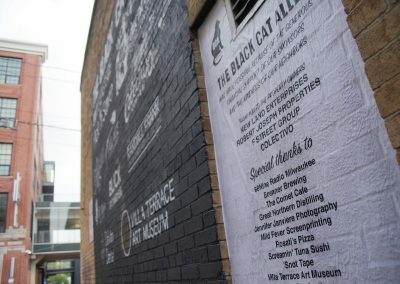 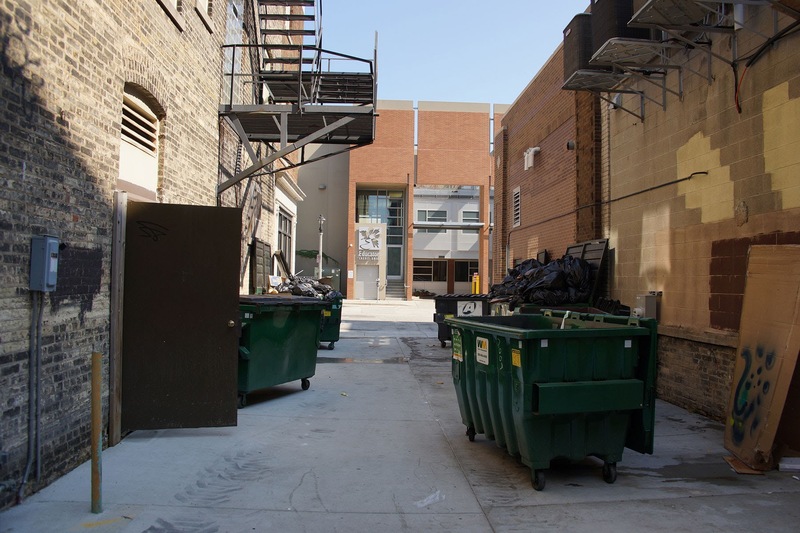 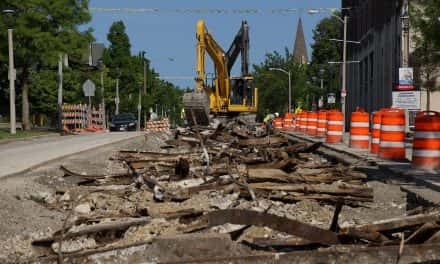 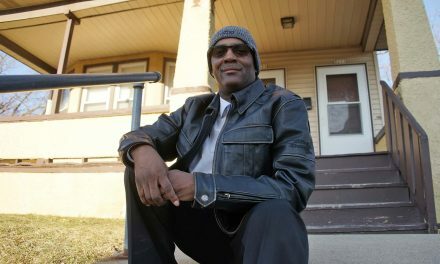 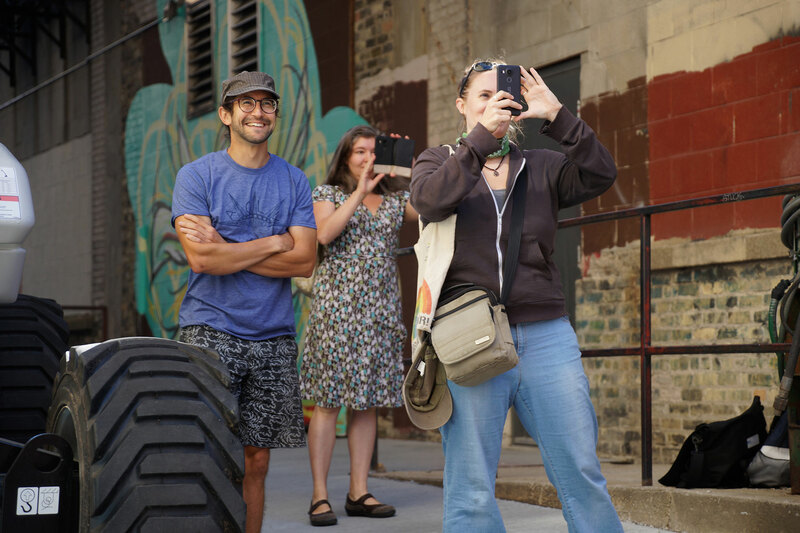 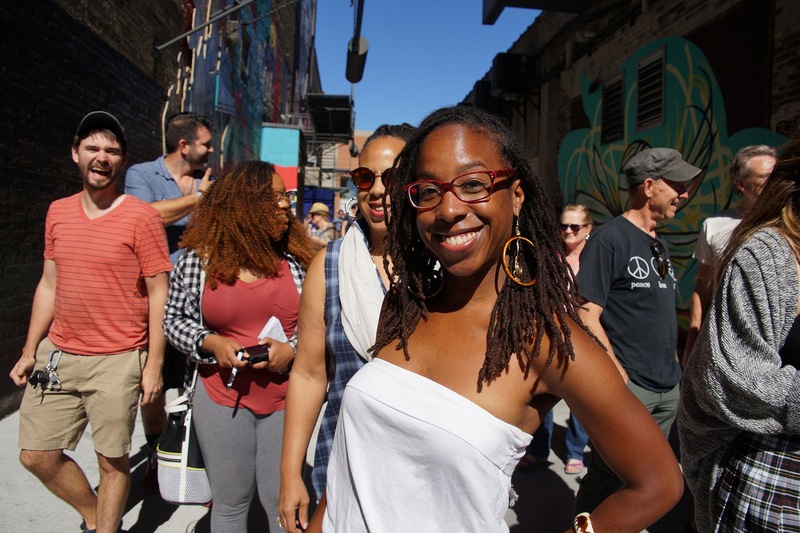 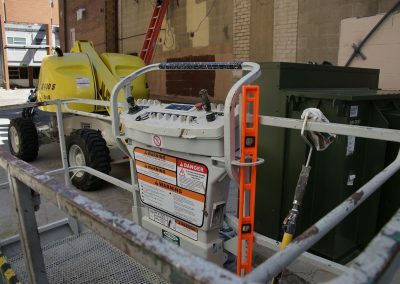 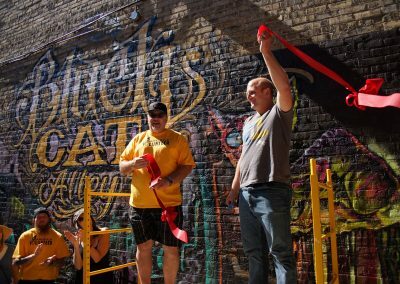 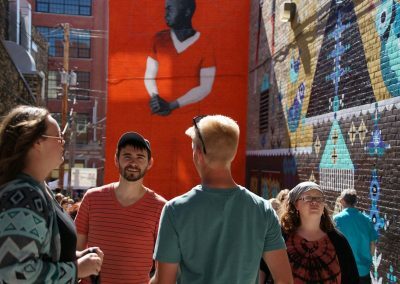 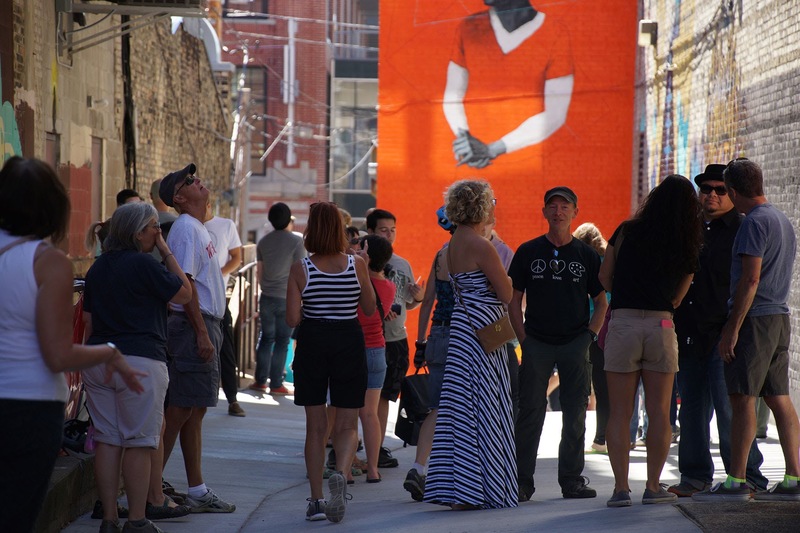 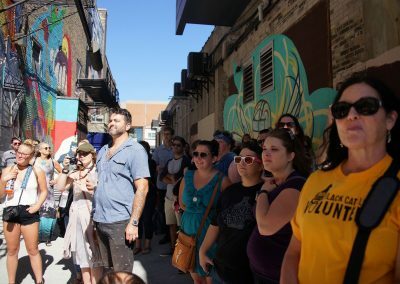 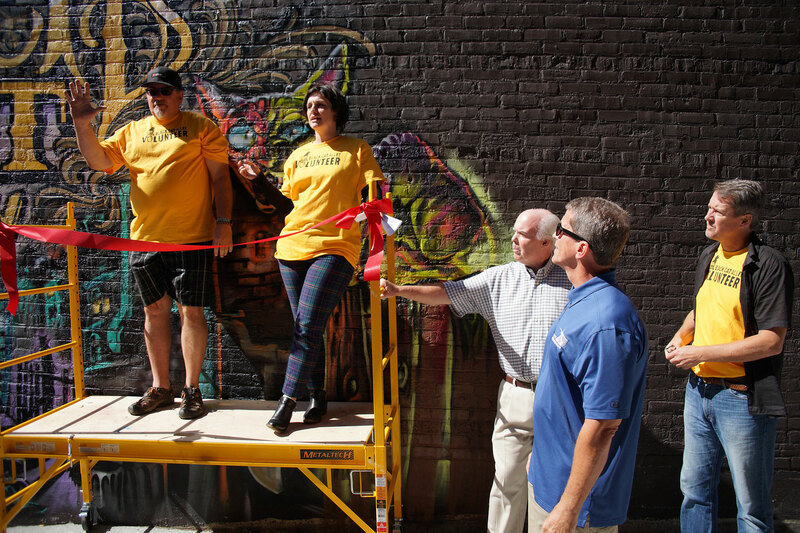 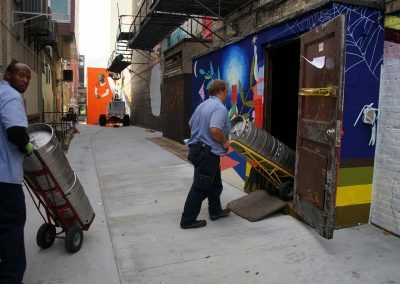 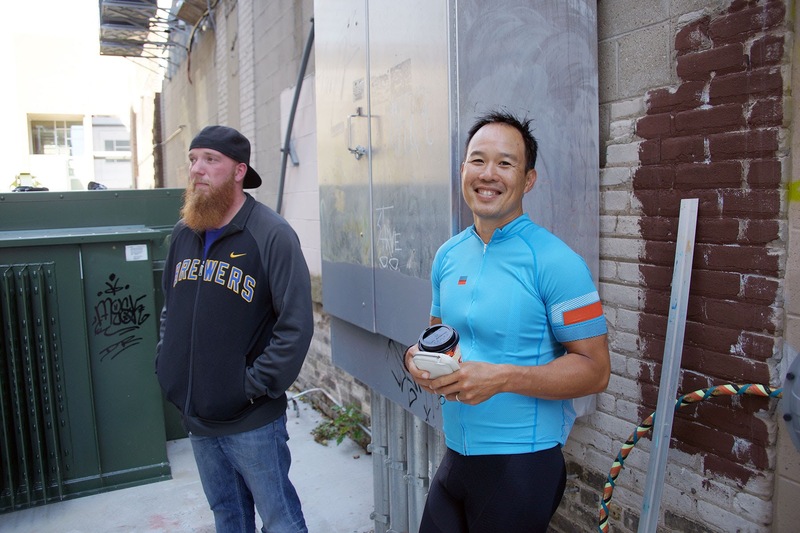 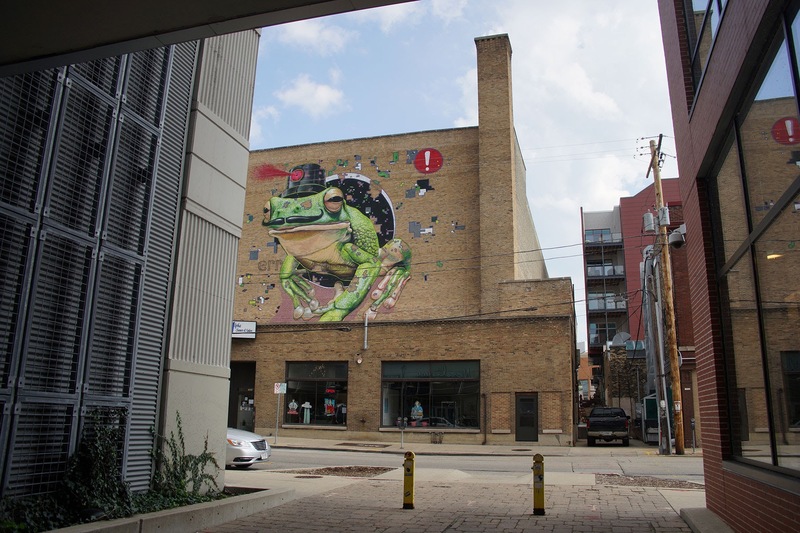 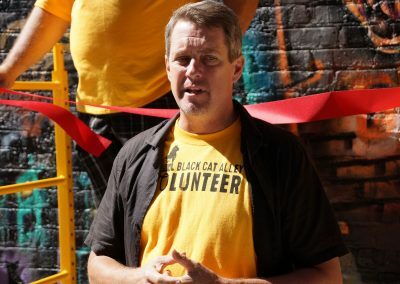 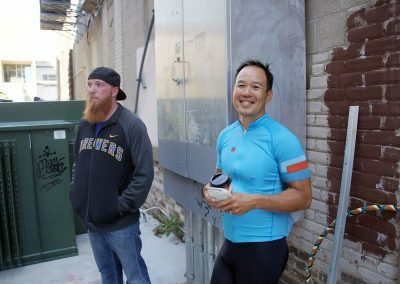 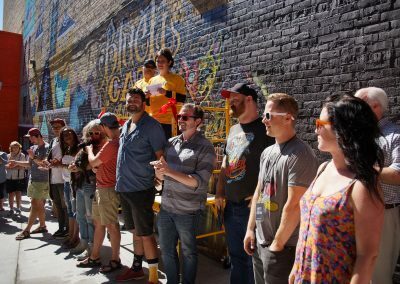 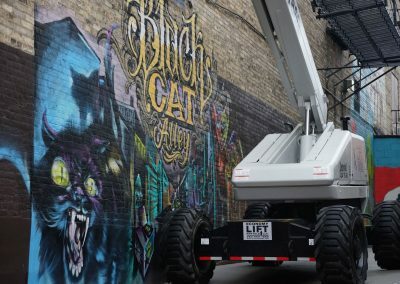 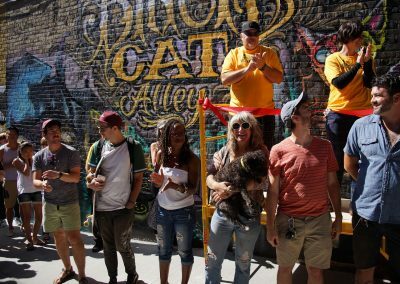 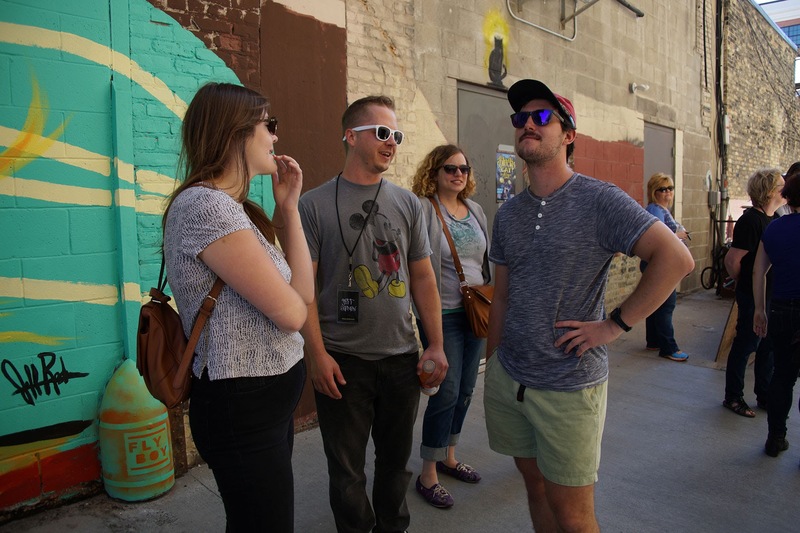 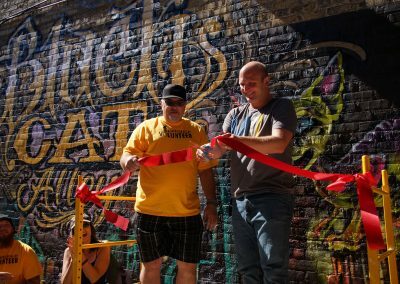 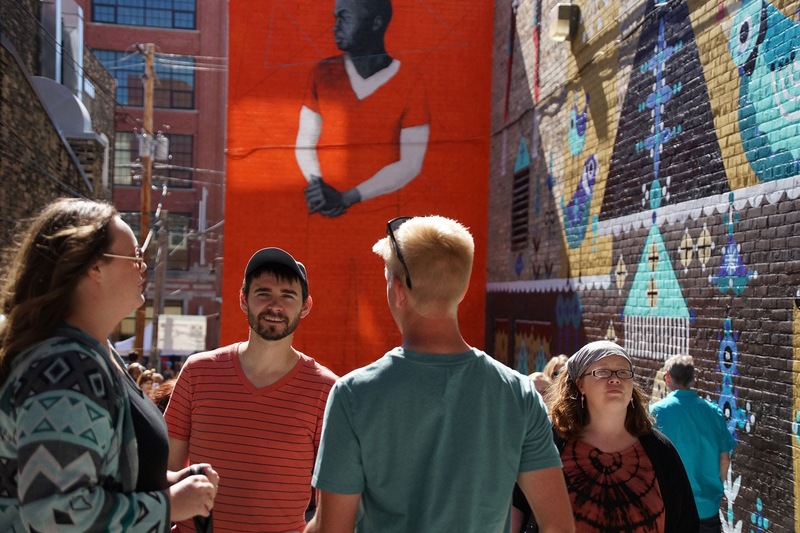 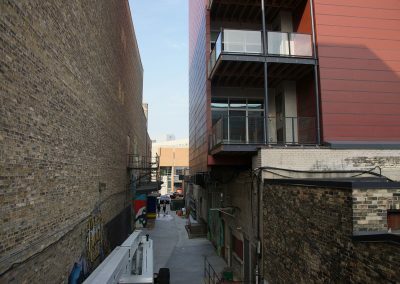 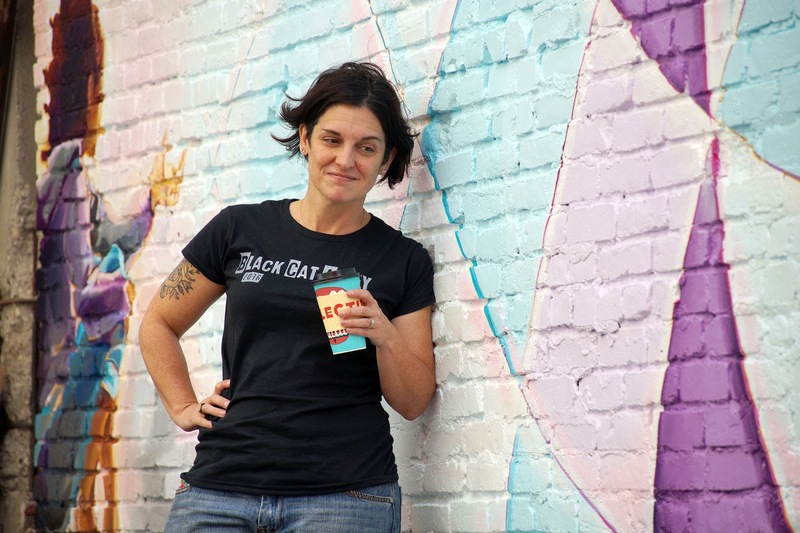 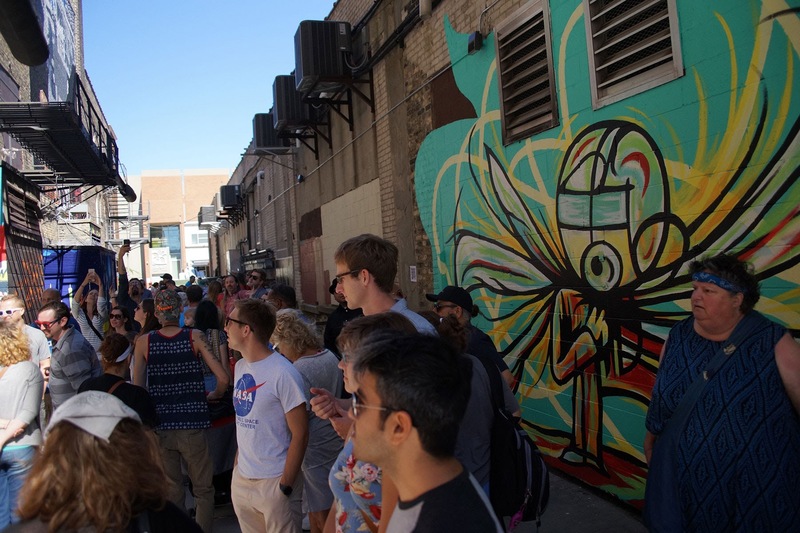 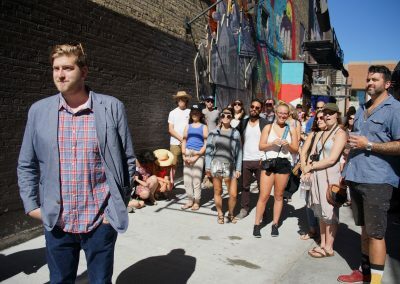 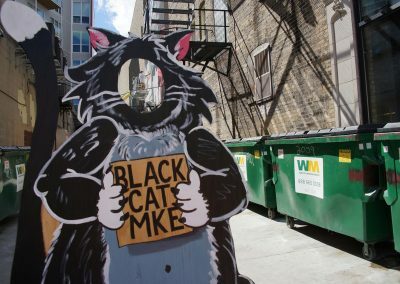 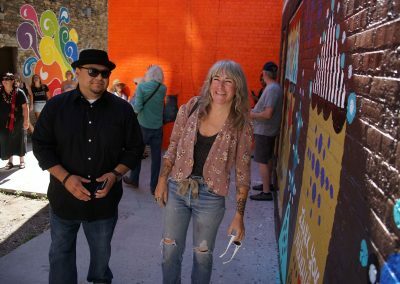 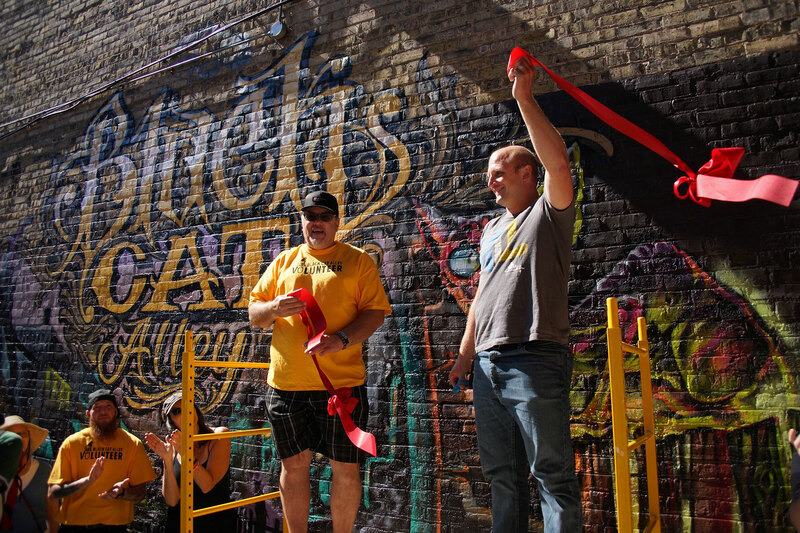 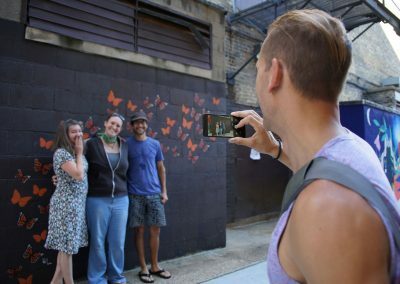 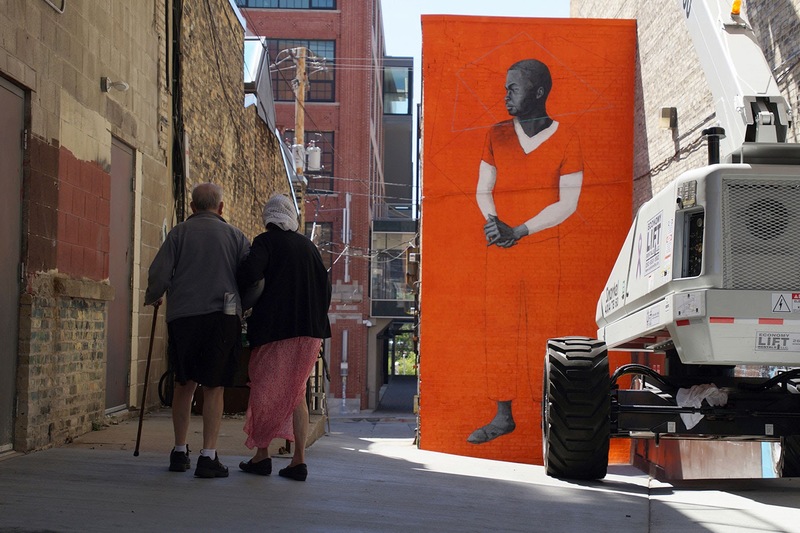 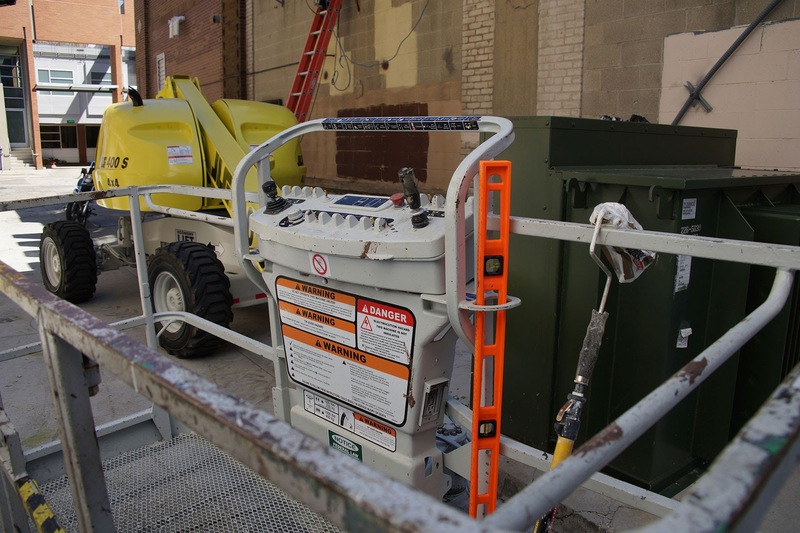 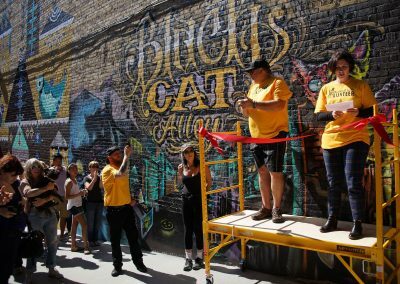 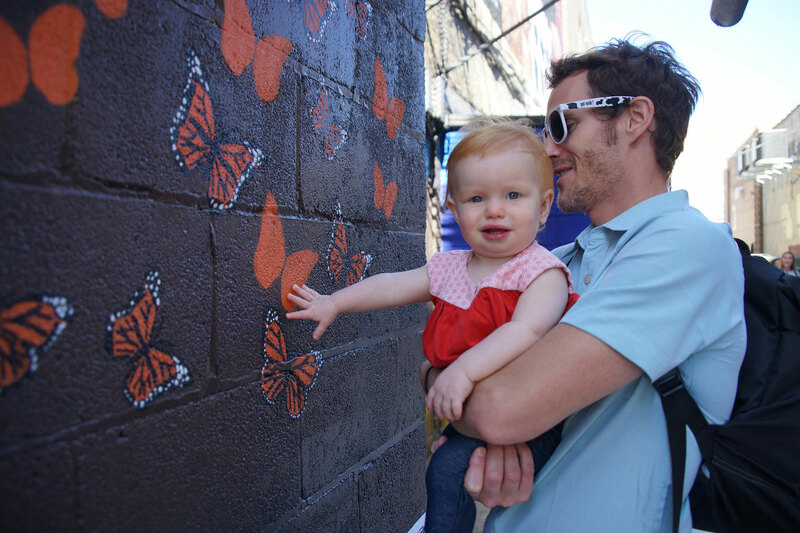 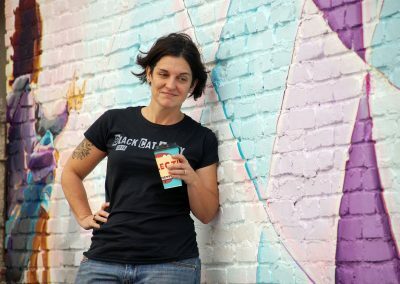 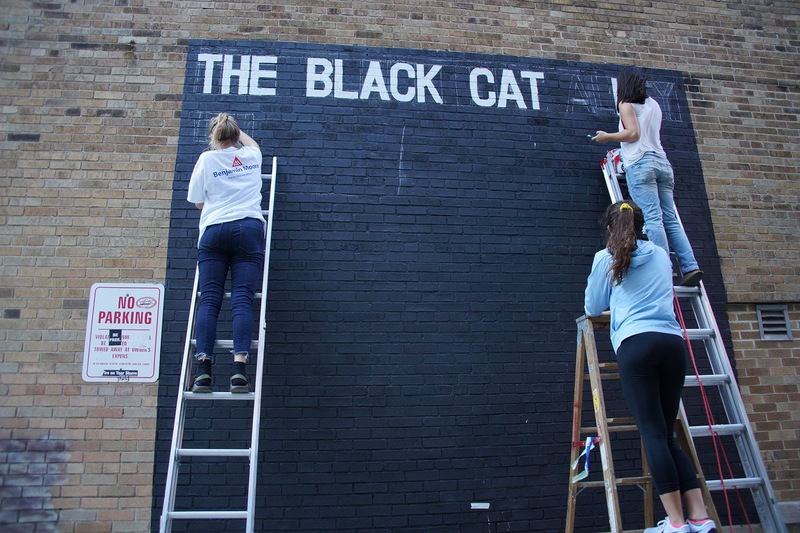 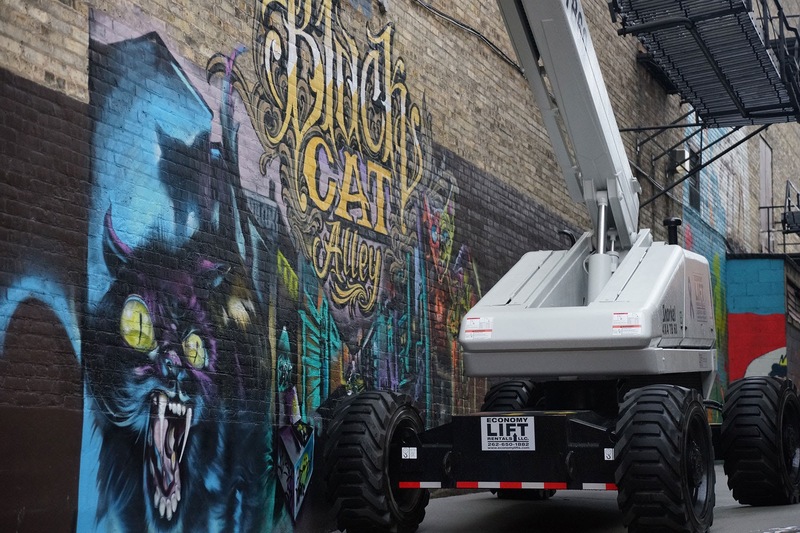 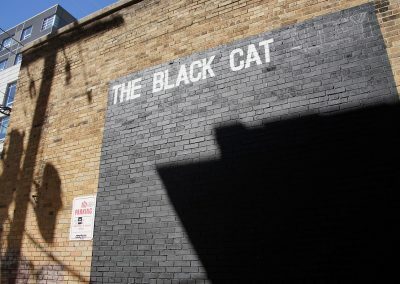 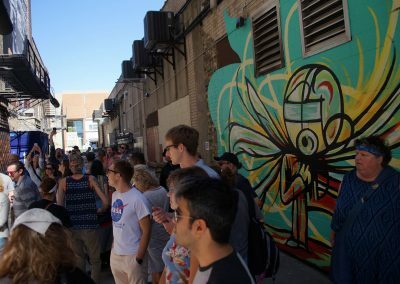 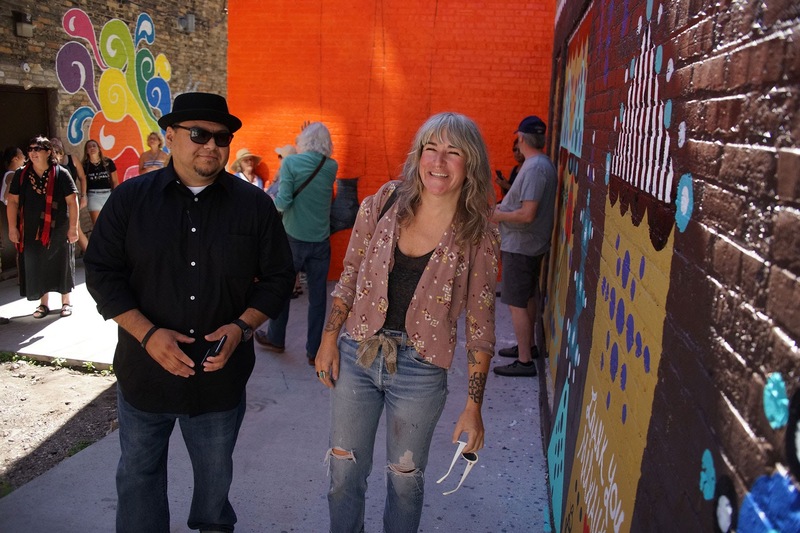 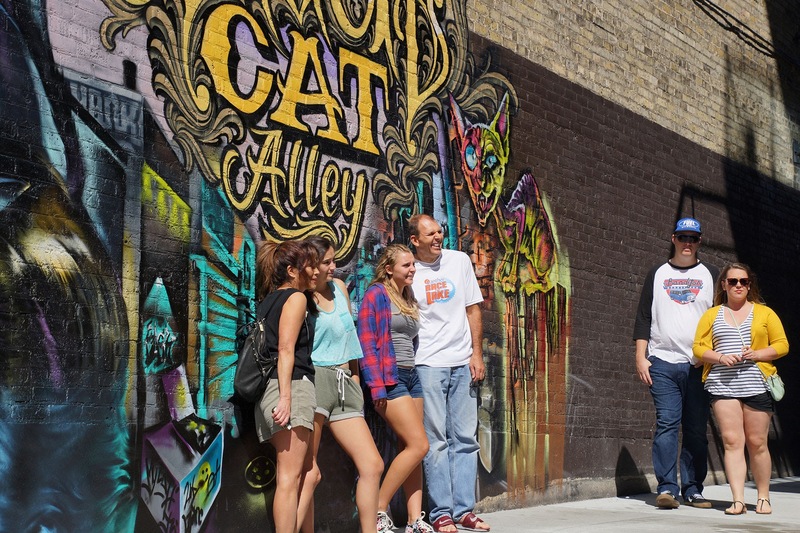 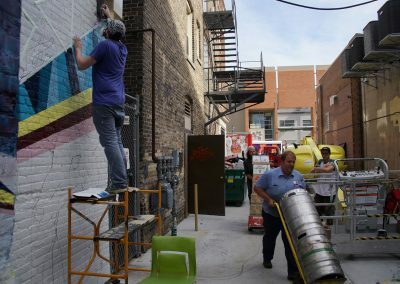 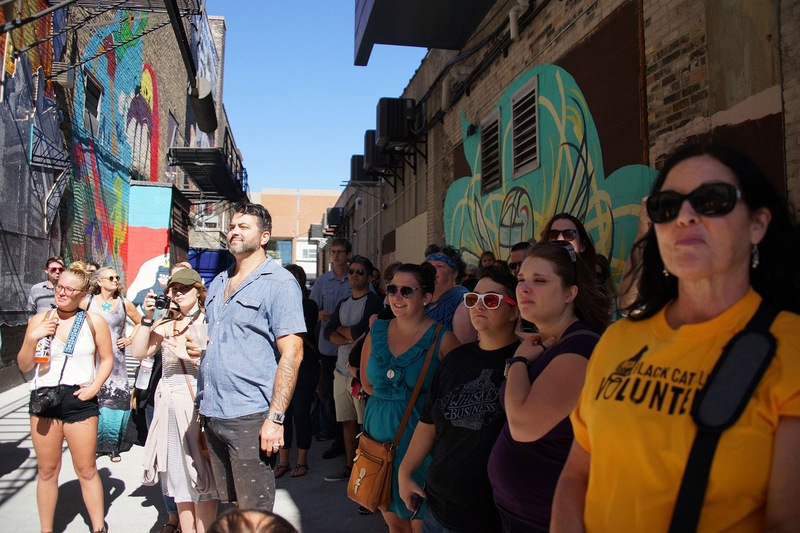 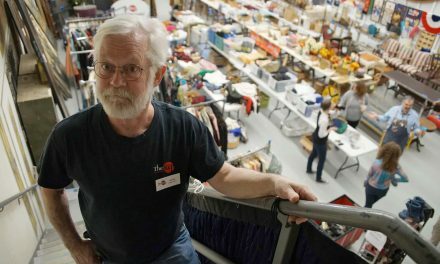 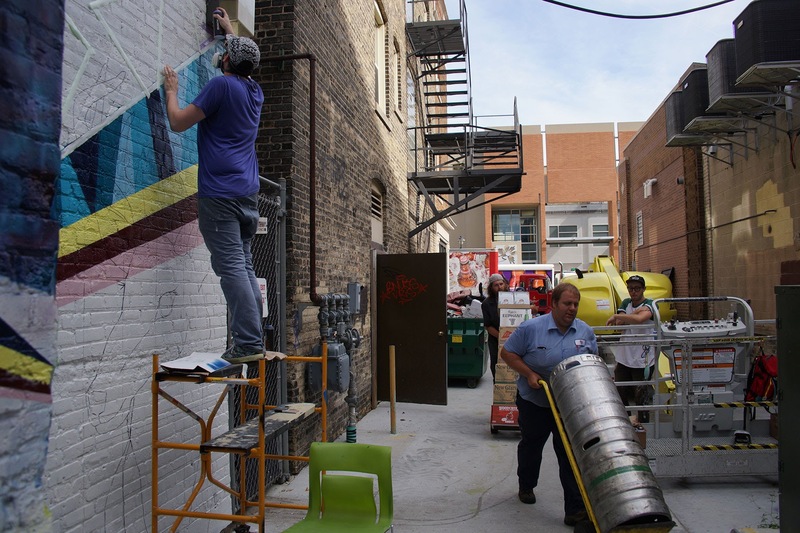 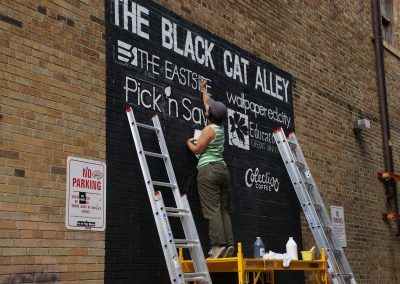 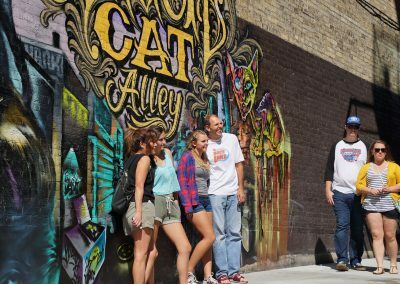 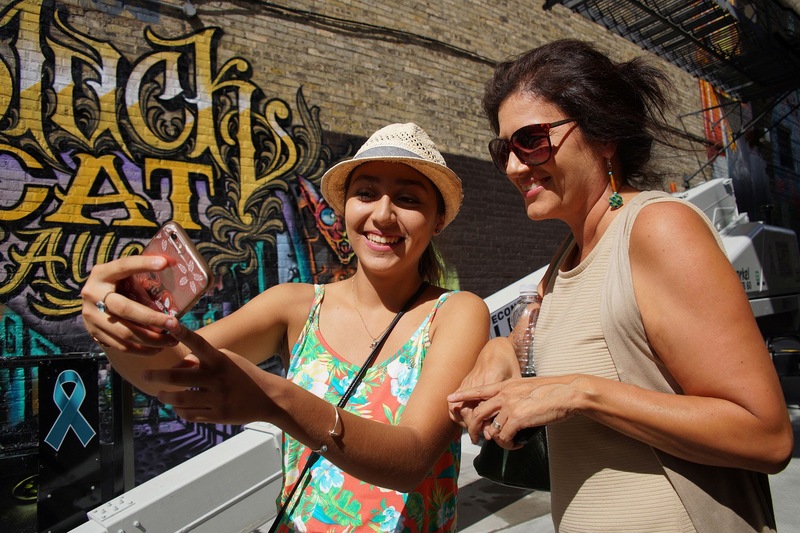 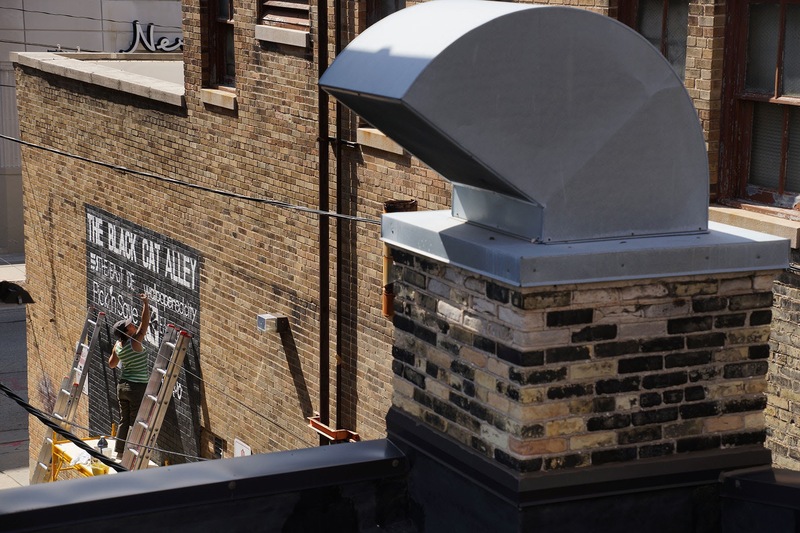 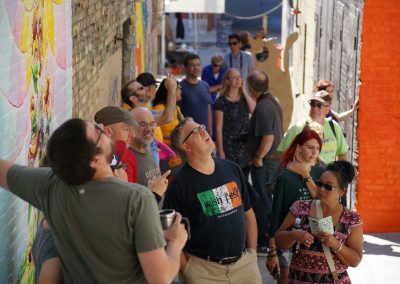 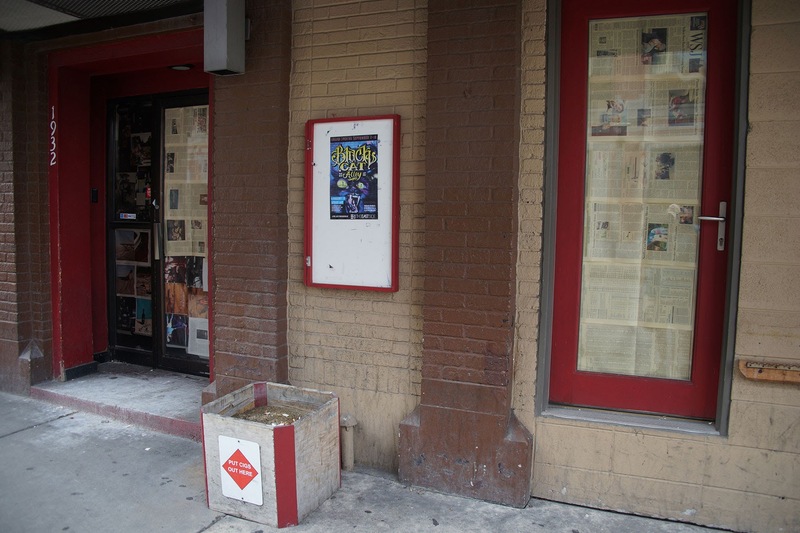 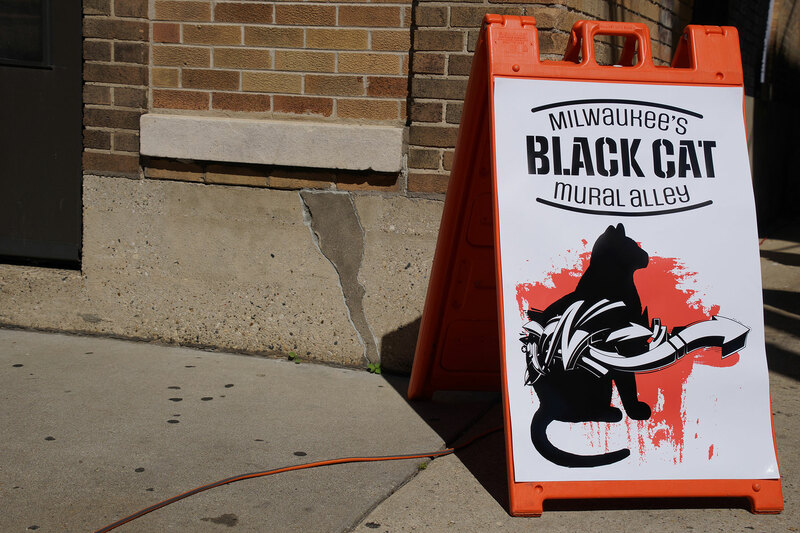 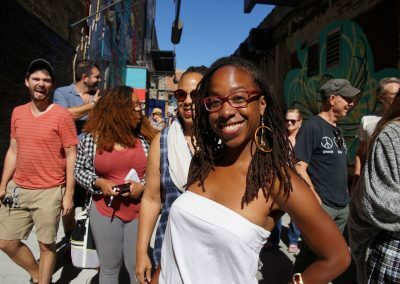 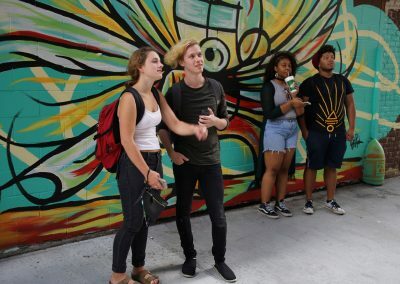 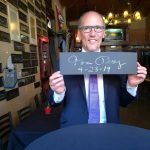 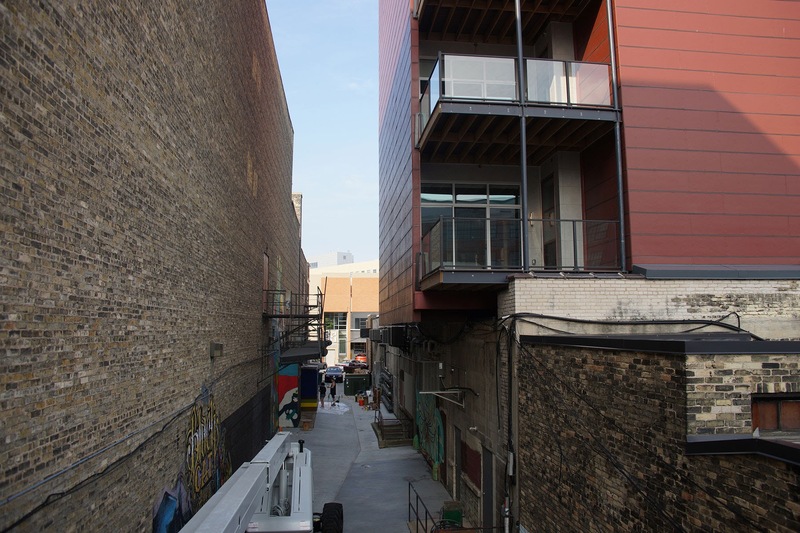 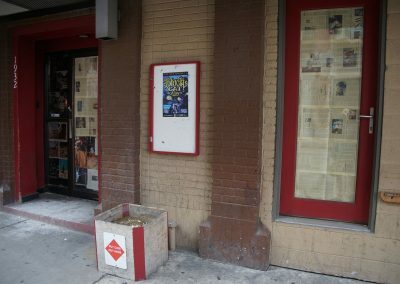 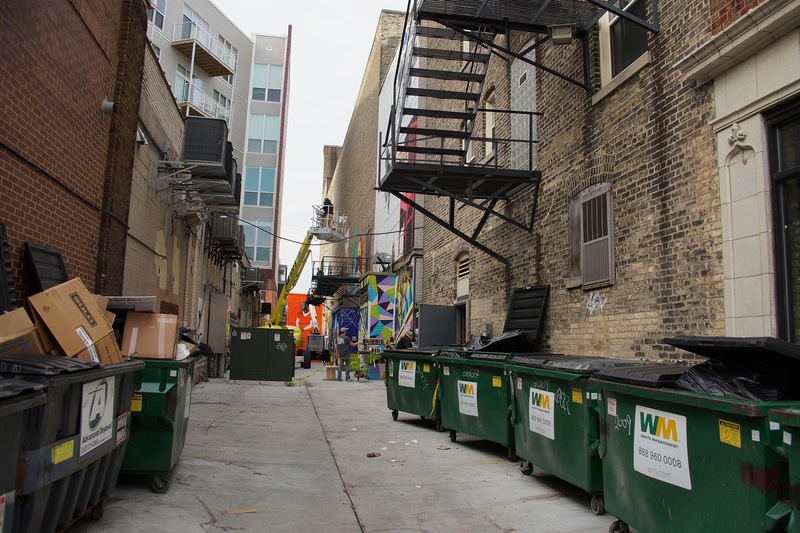 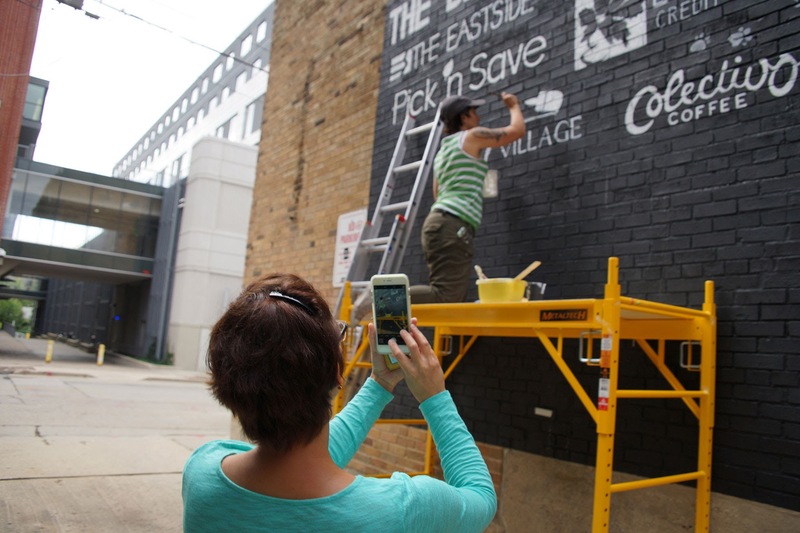 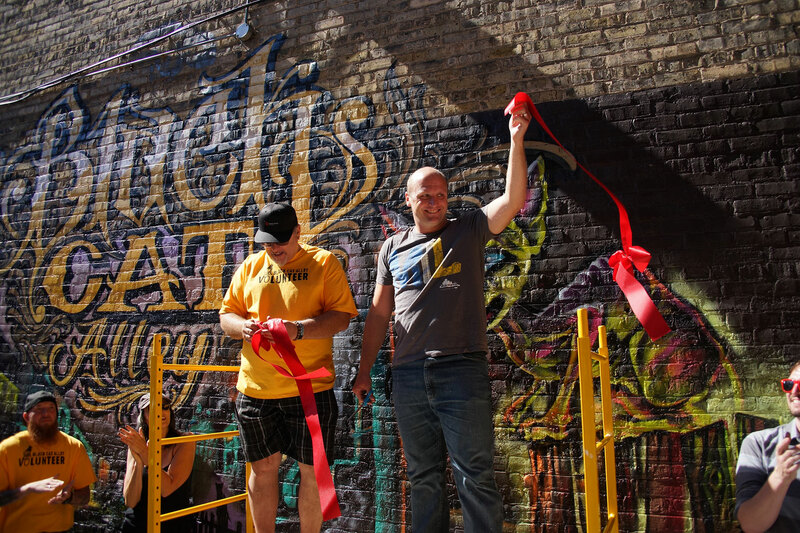 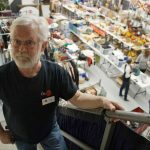 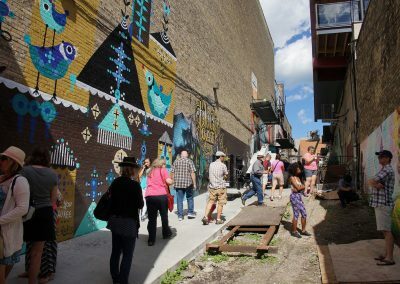 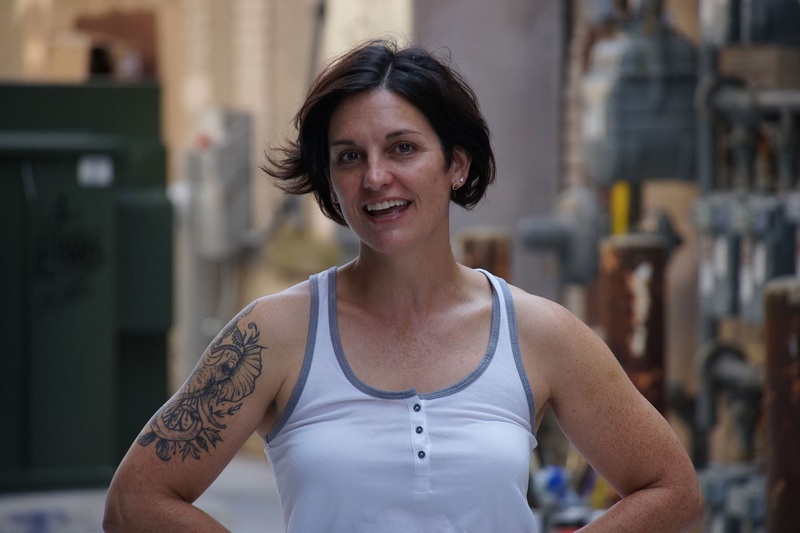 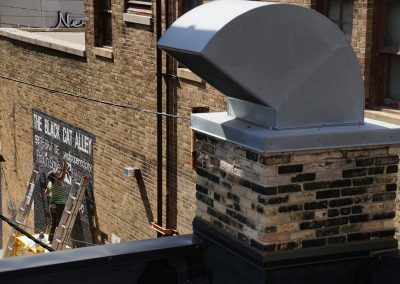 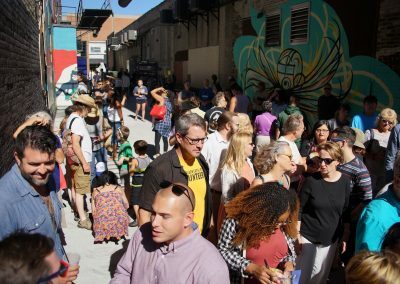 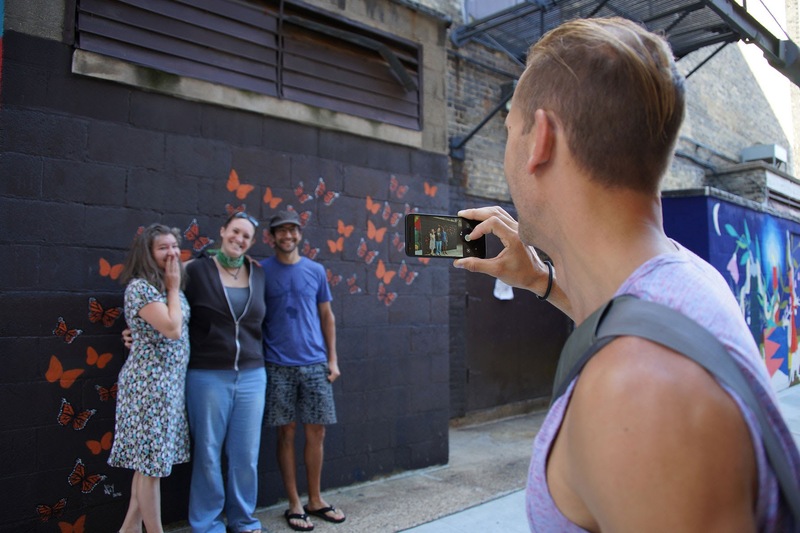 Black Cat Alley welcomed the public during Doors Open Milwaukee, with an estimated four thousand visitors over the September 17 and 18 weekend. 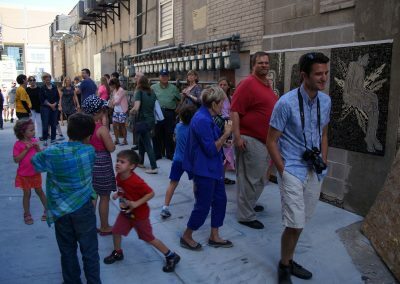 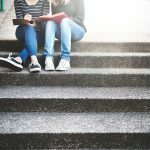 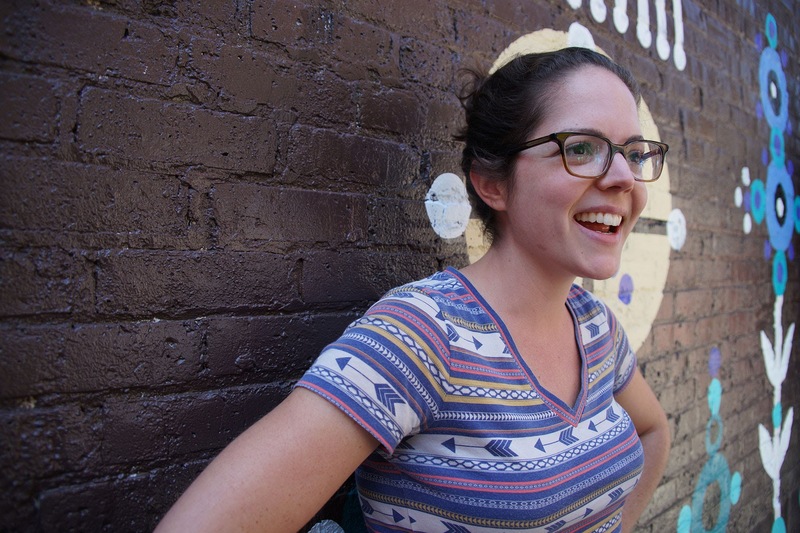 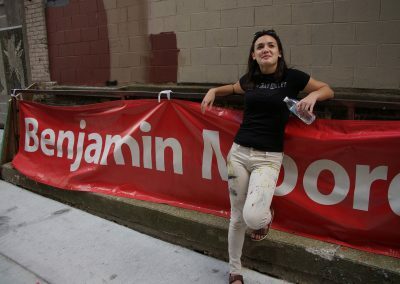 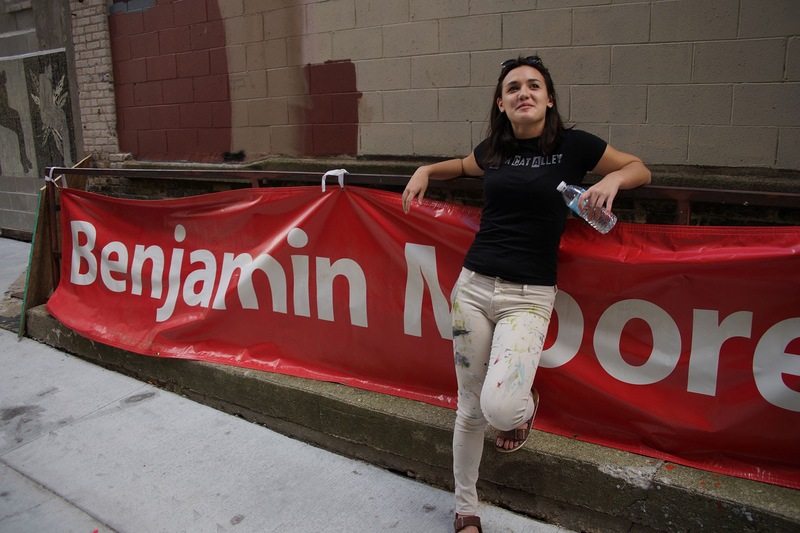 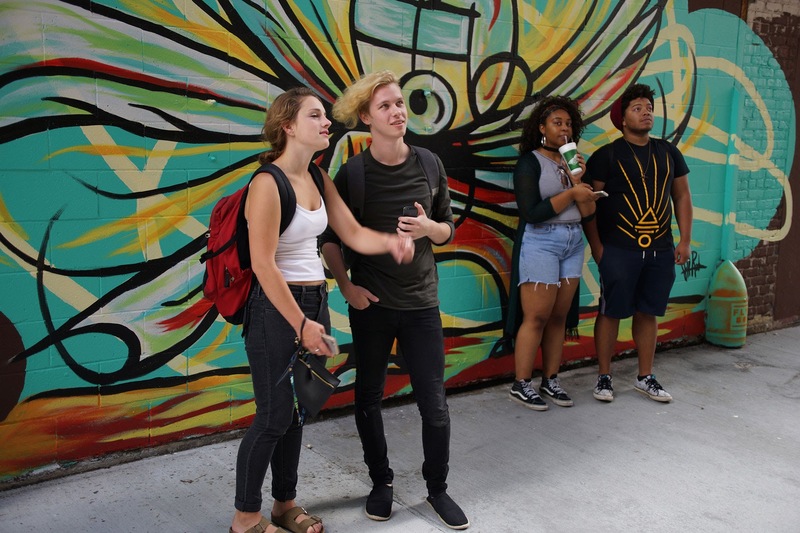 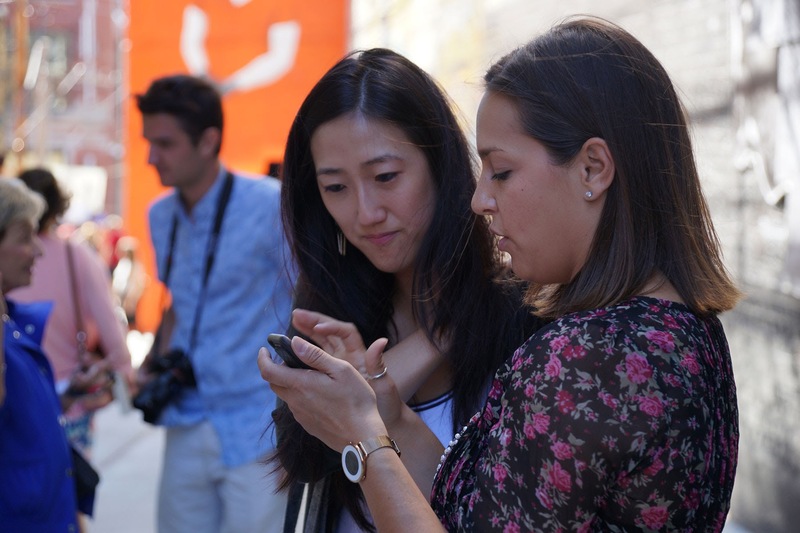 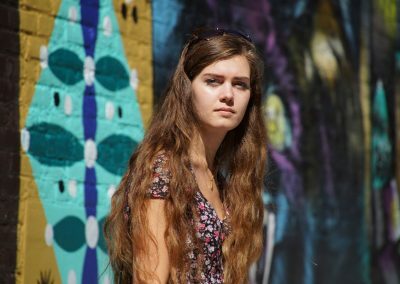 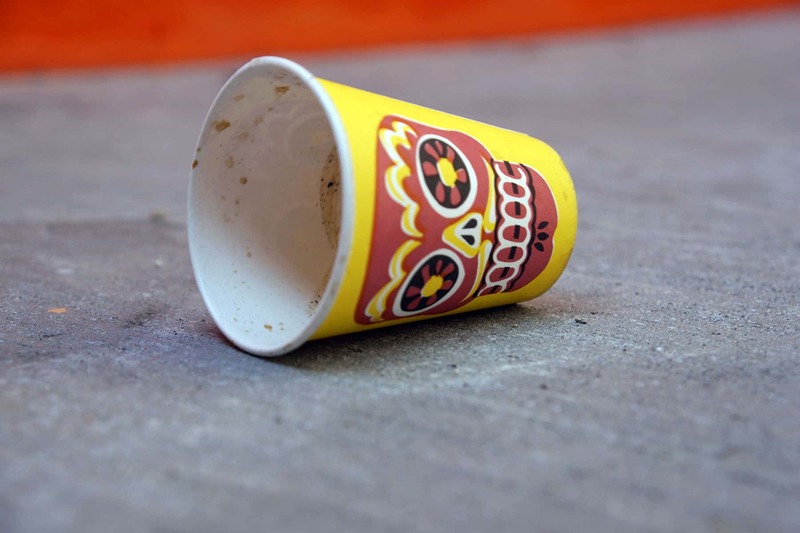 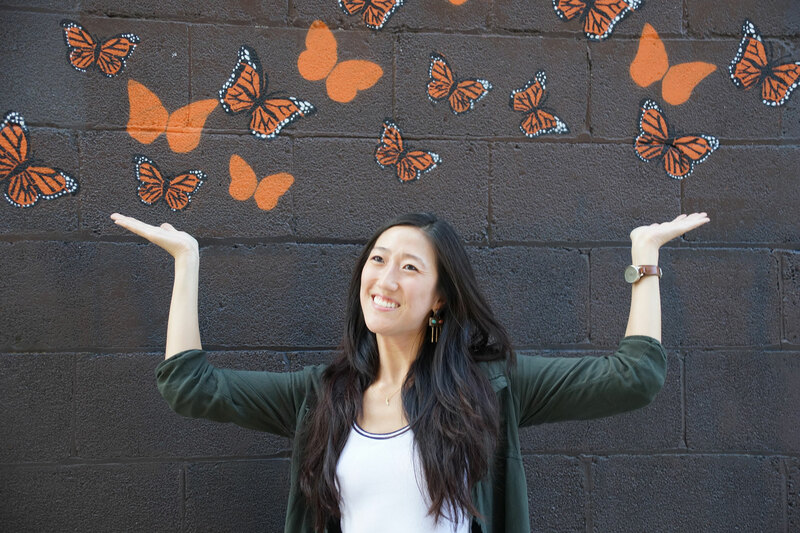 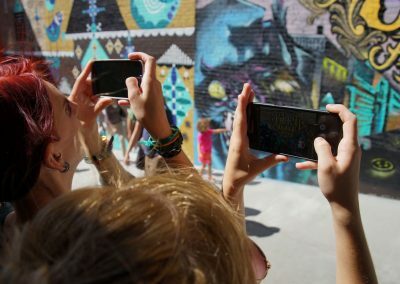 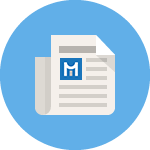 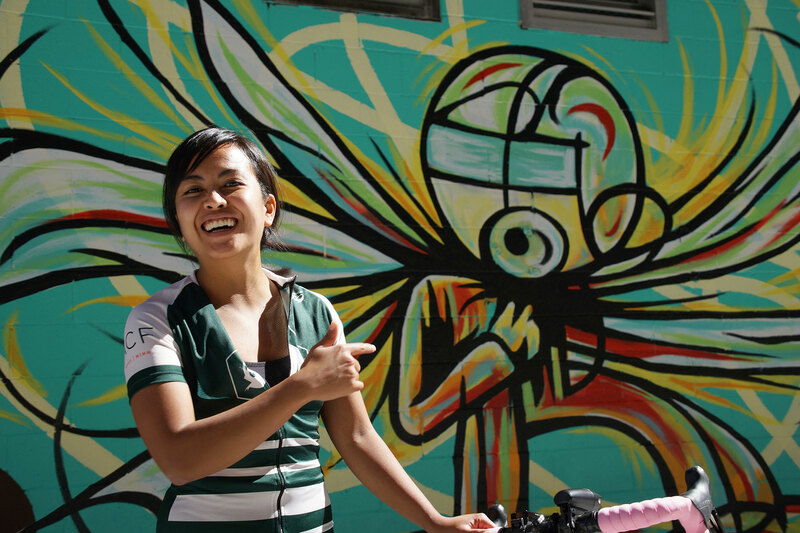 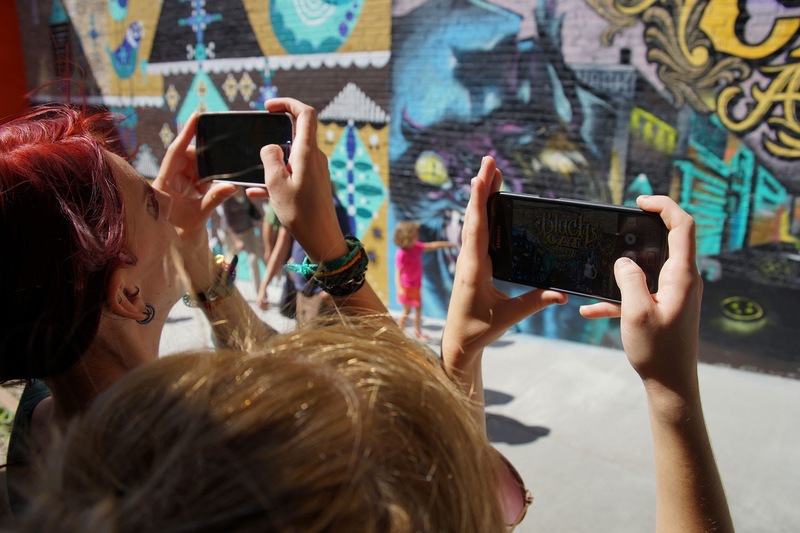 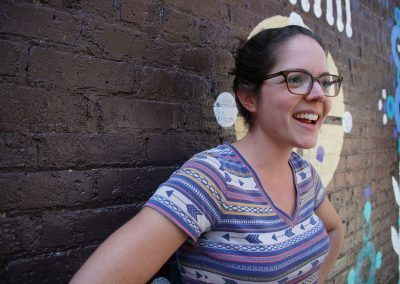 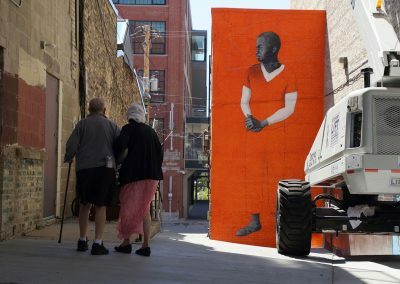 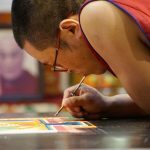 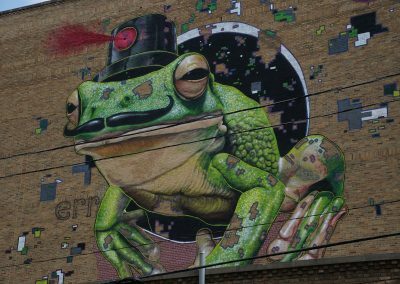 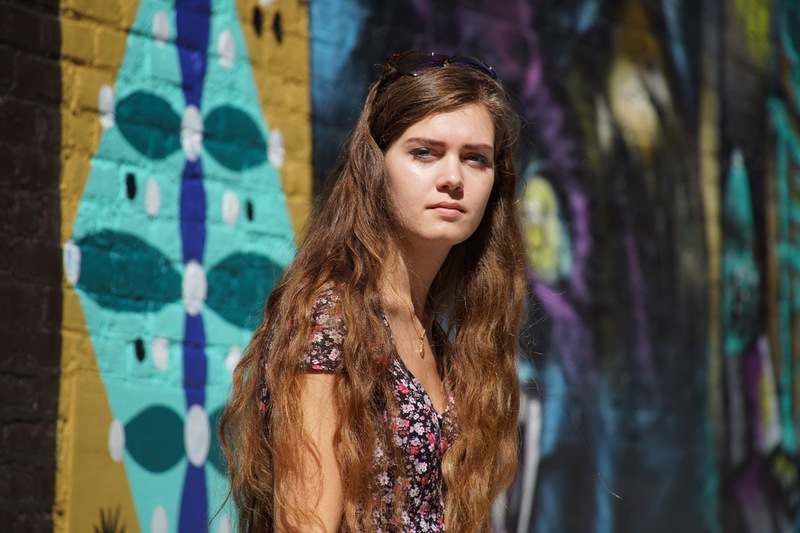 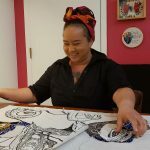 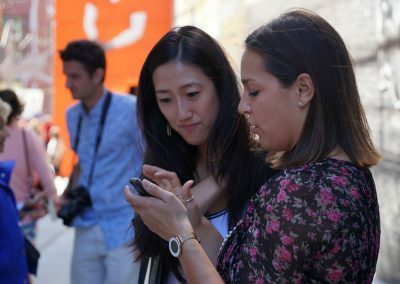 The new art corridor saw a steady stream of foot traffic, and became one of the hottest destination spots for the annual event. 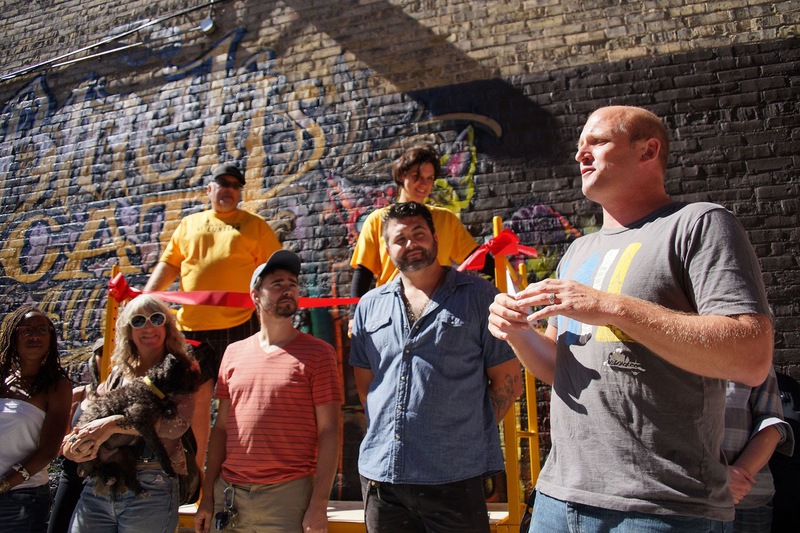 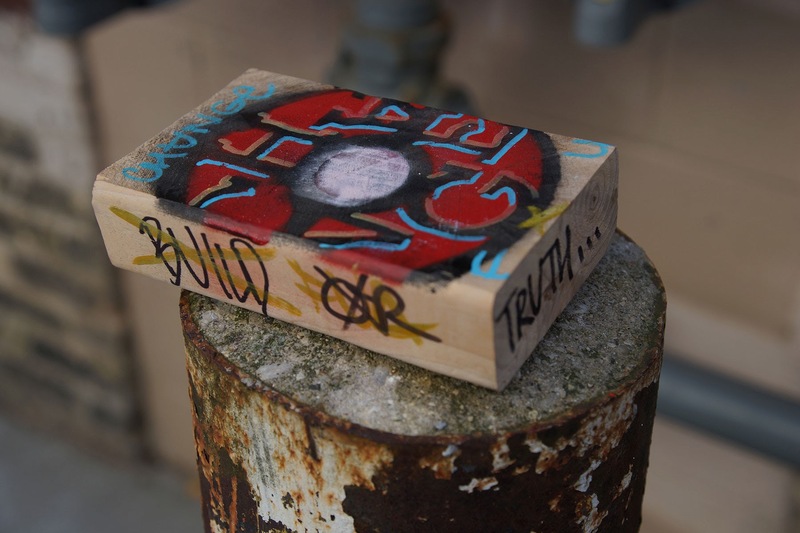 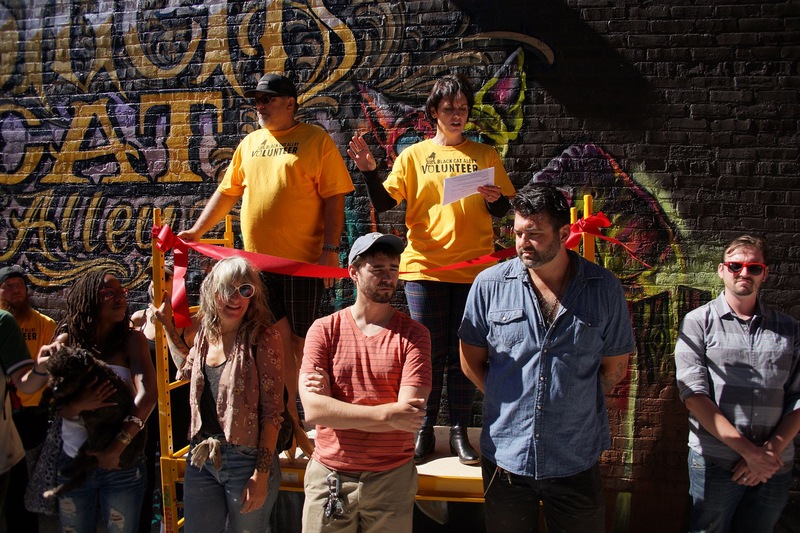 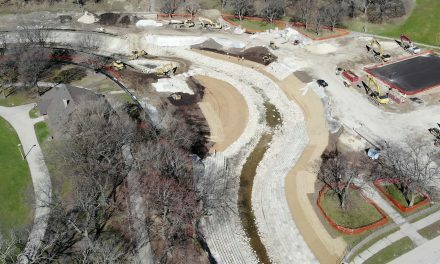 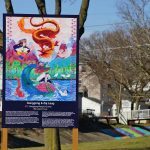 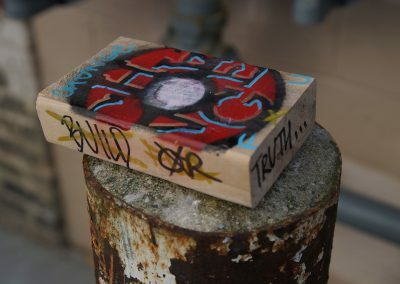 With its art installations completed, project organizers held a ribbon cutting ceremony to officially open the site to the community. 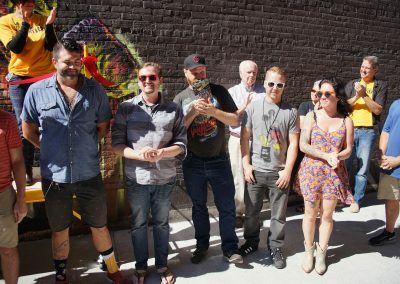 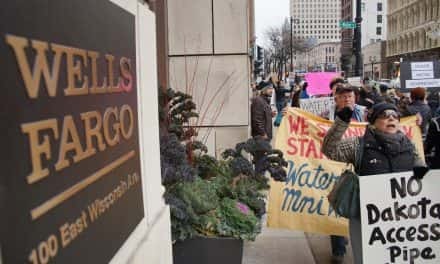 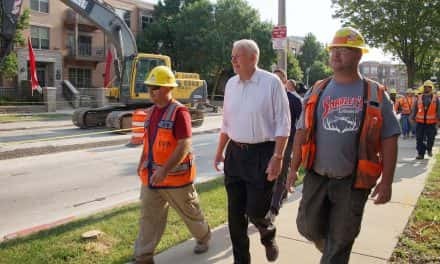 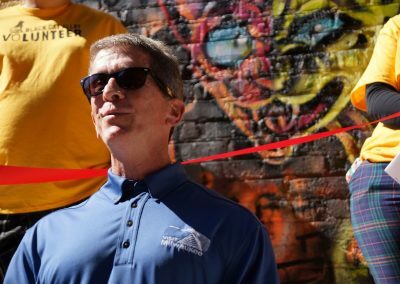 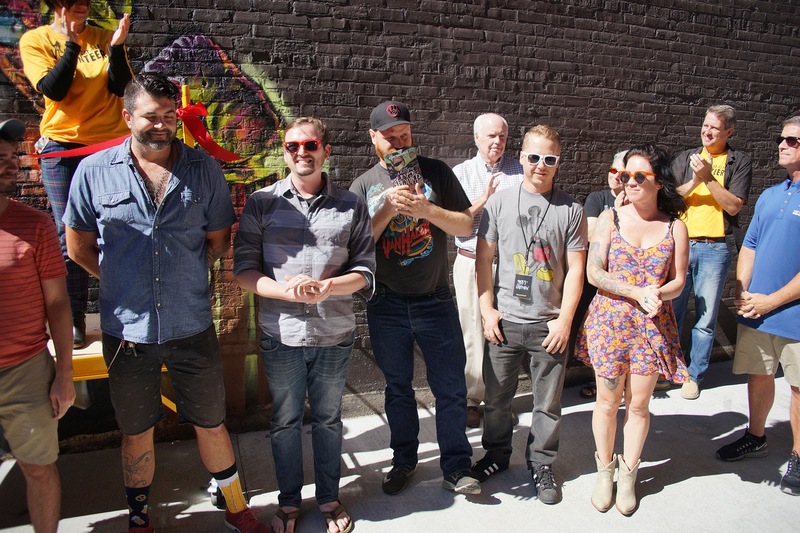 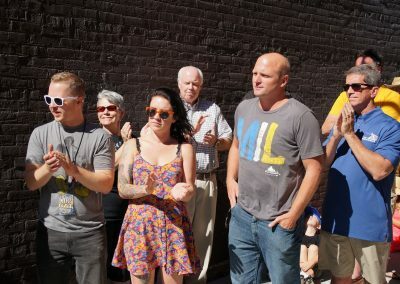 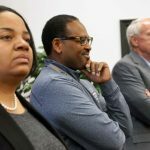 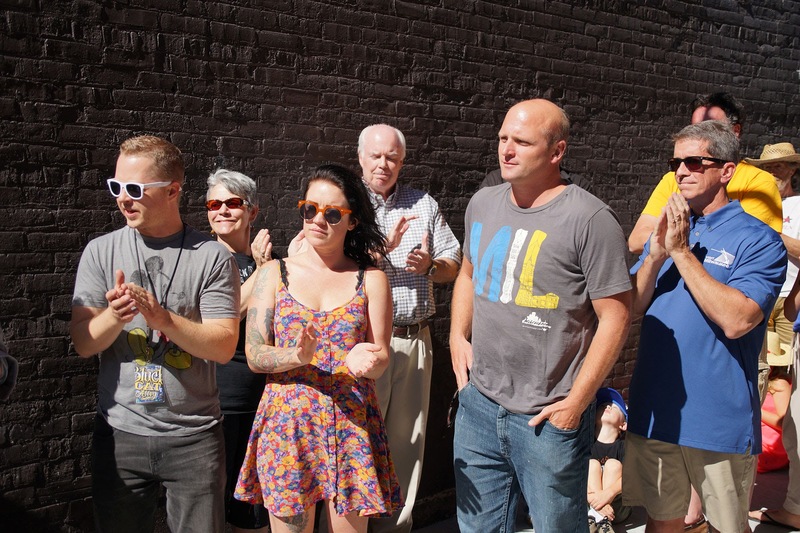 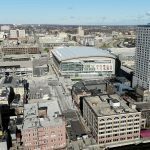 Paul Upchurch of VISIT Milwaukee, Jim Plaisted of the North Avenue East Side BID, Jim Hyland of Roundy’s, and 3rd District Alderman Nik Kovac joined the crowd of sponsors, supporters, and visitors.